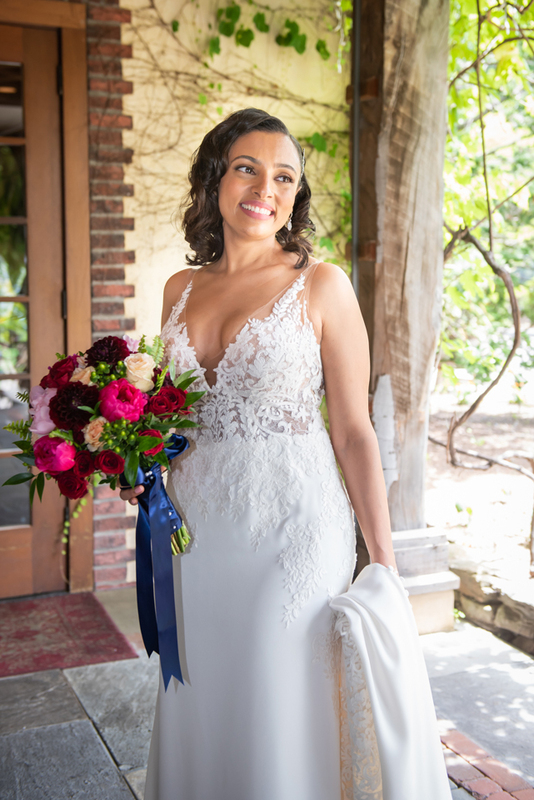 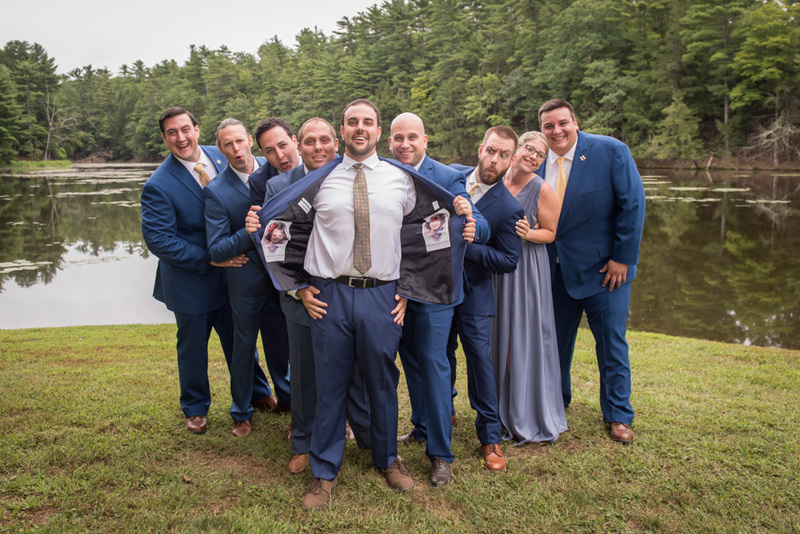 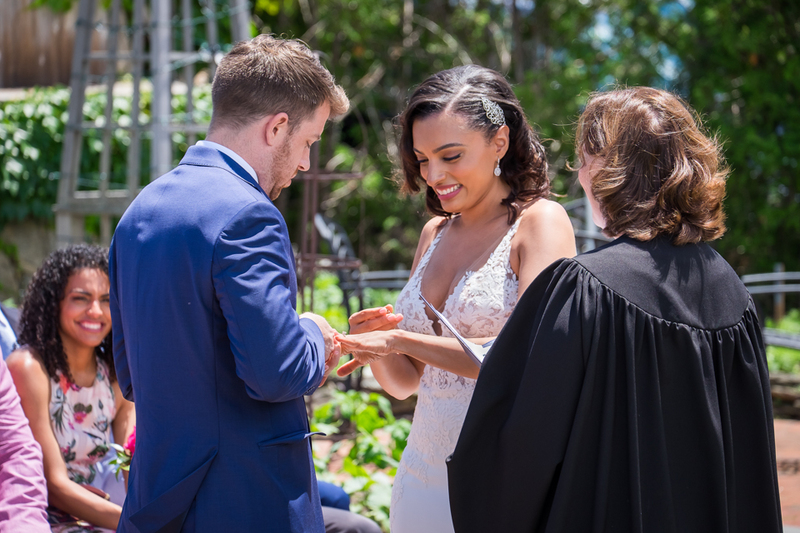 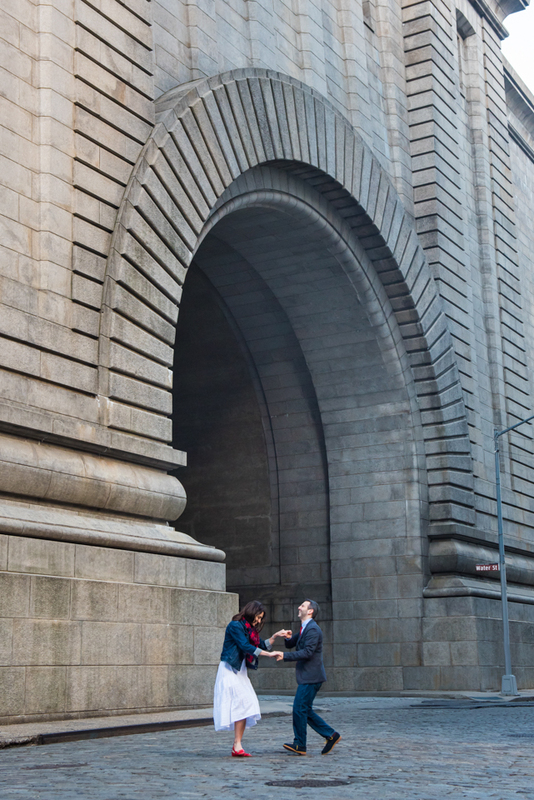 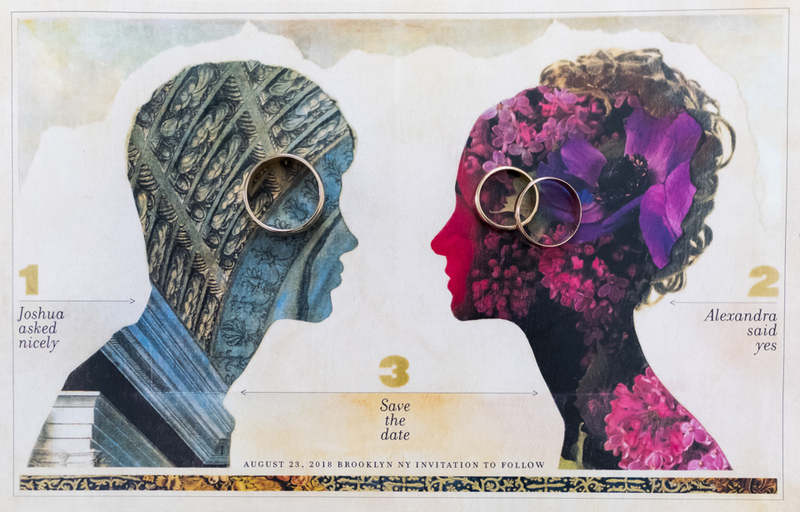 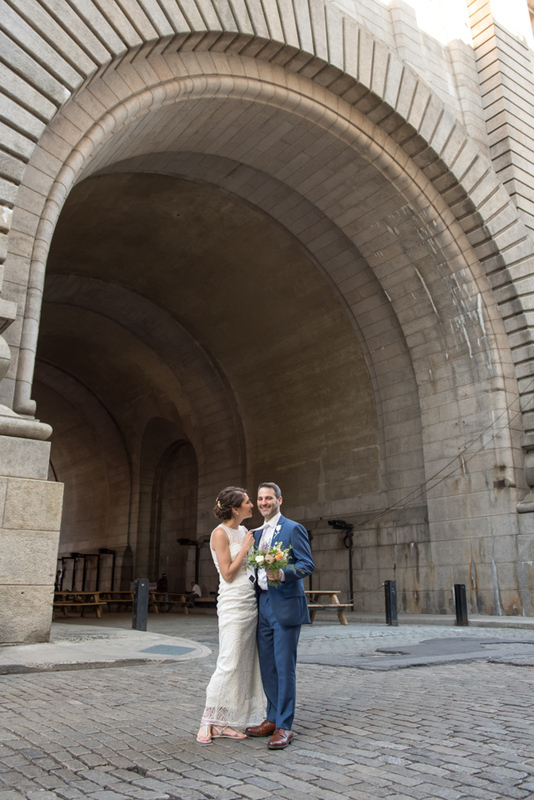 26 Bridge Wedding – The nose knows! 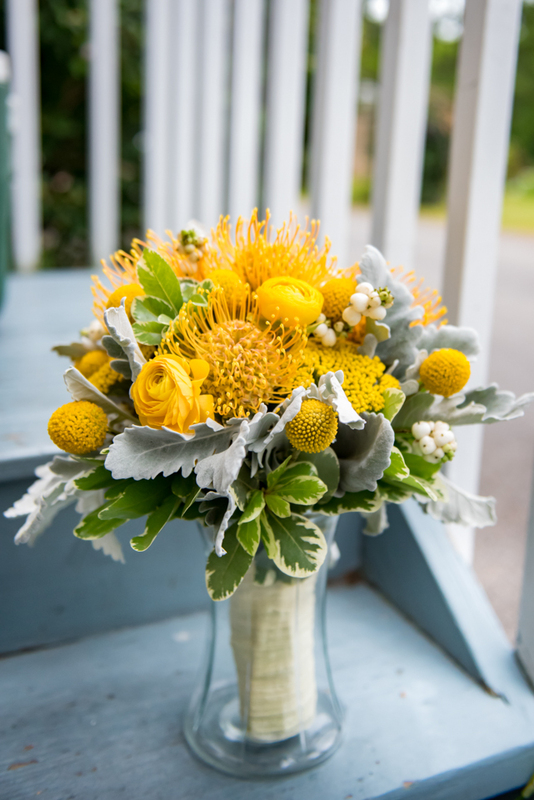 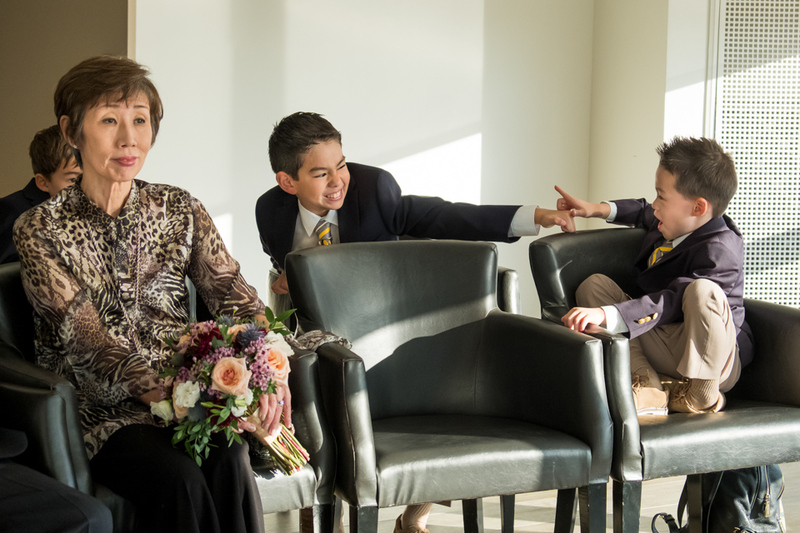 Most weddings are pretty routine: flowers, ring bearer, vows. 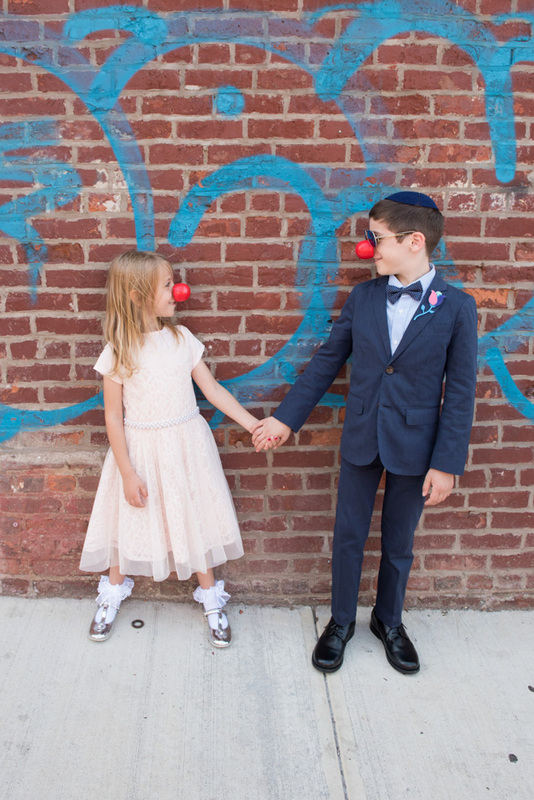 But clown noses, red wagons, costumes? 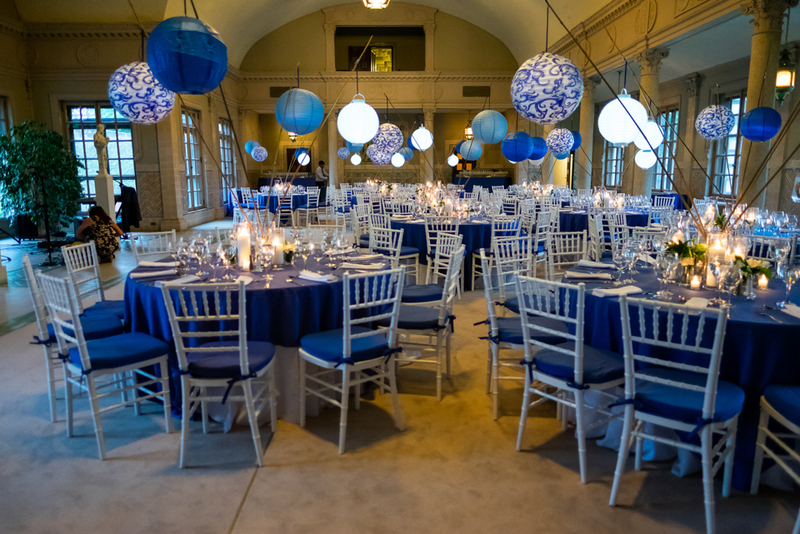 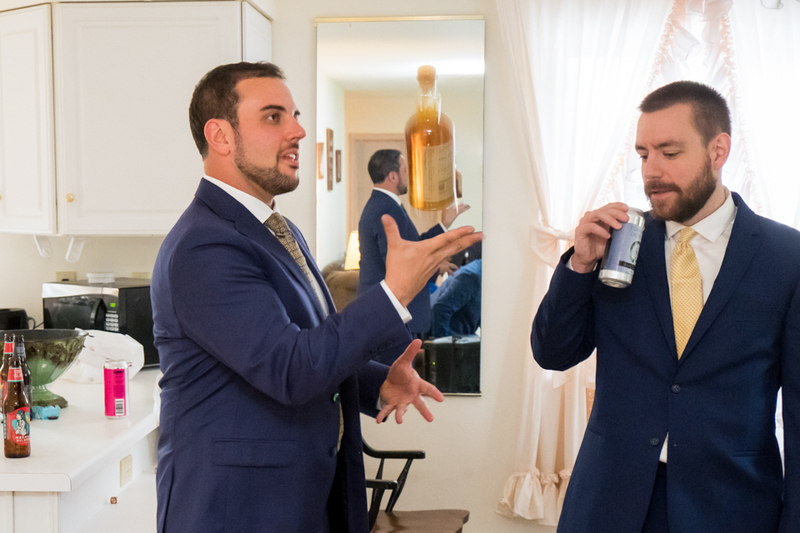 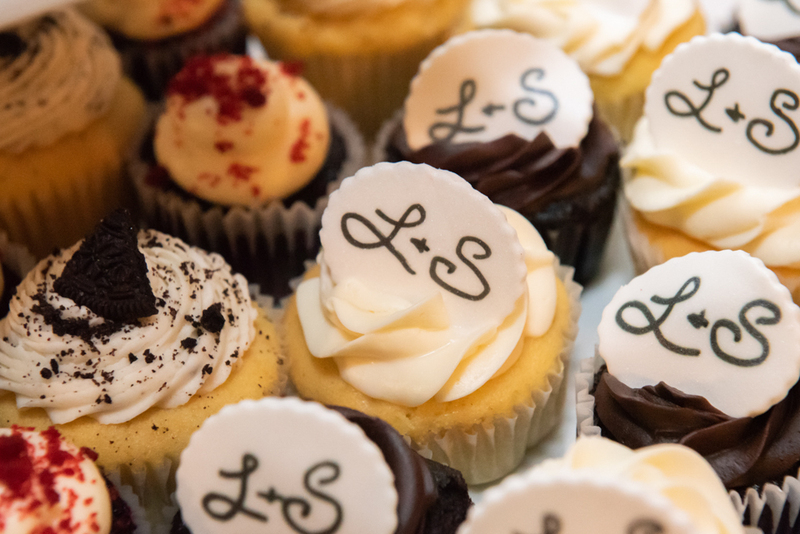 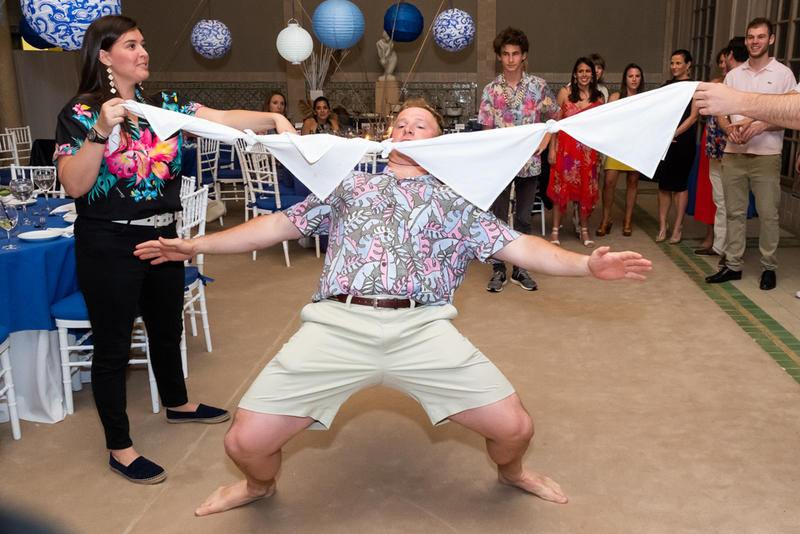 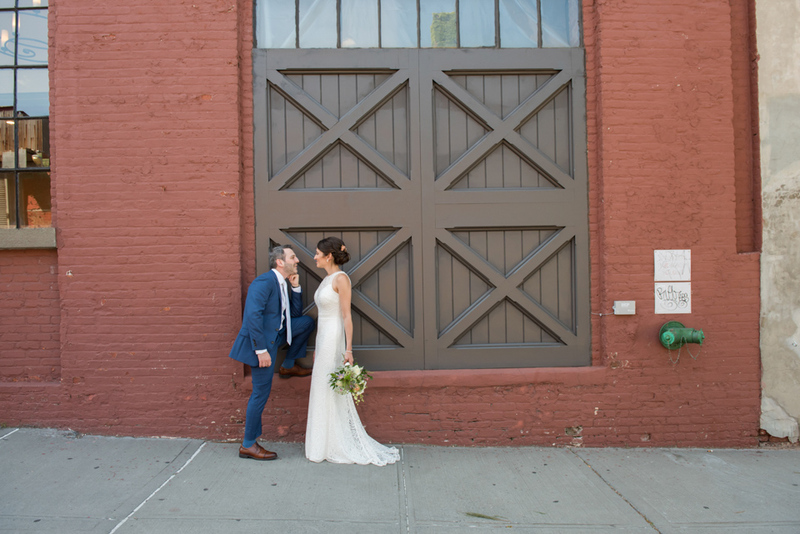 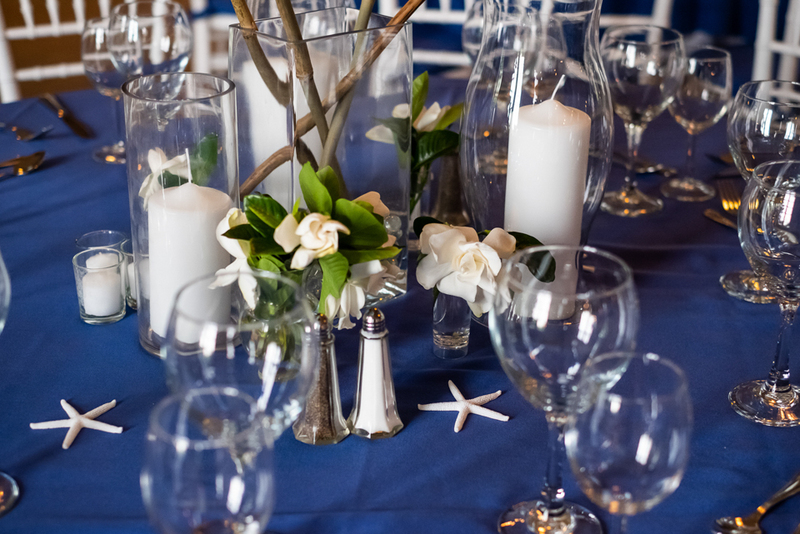 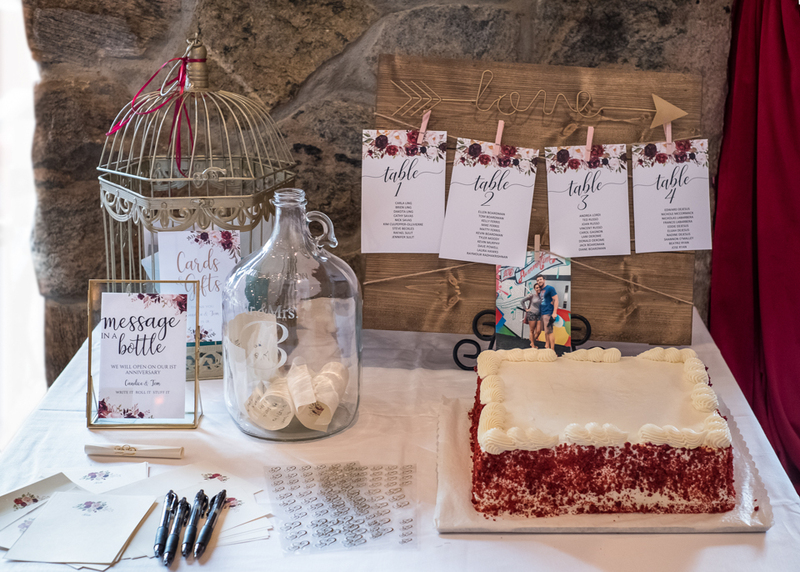 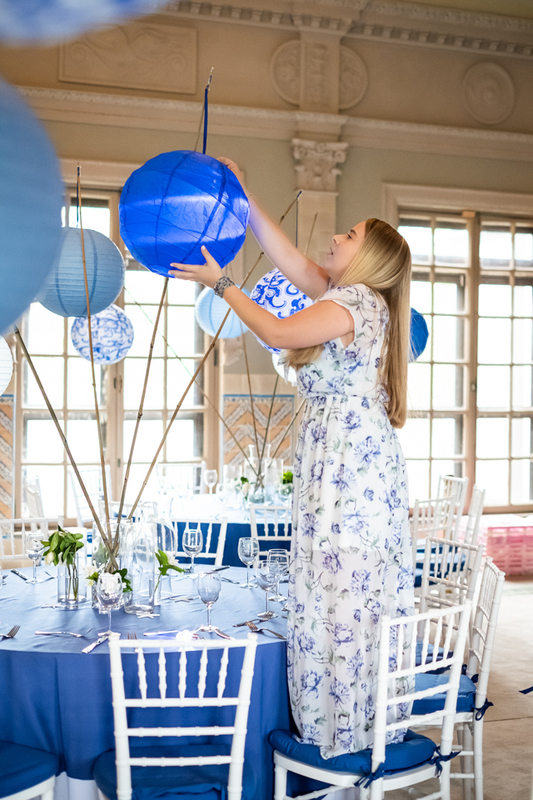 Allie and Josh’s Brooklyn event had them all. 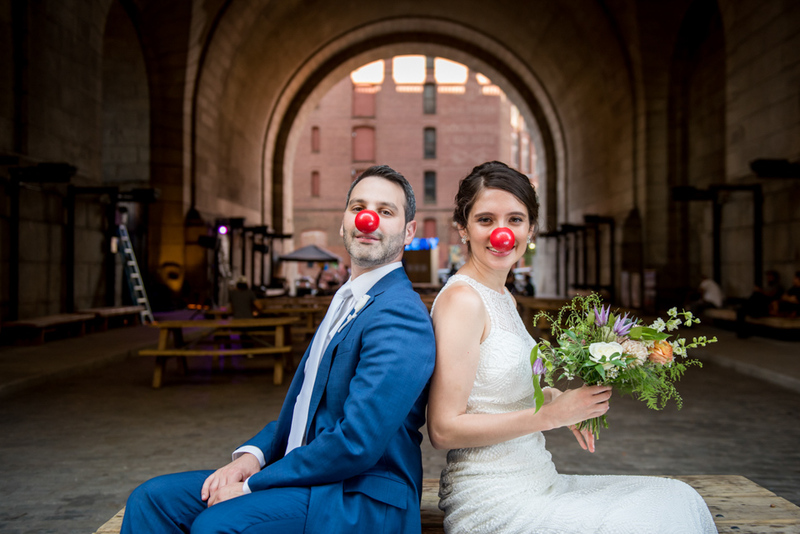 Those noses have been with them from first date to proposal to our pre-wedding shoot to ceremony, with extras for guests to pop on! 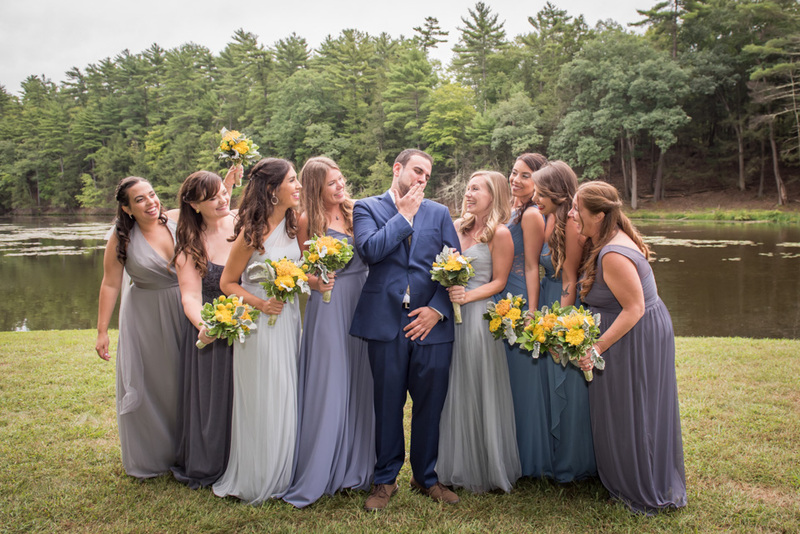 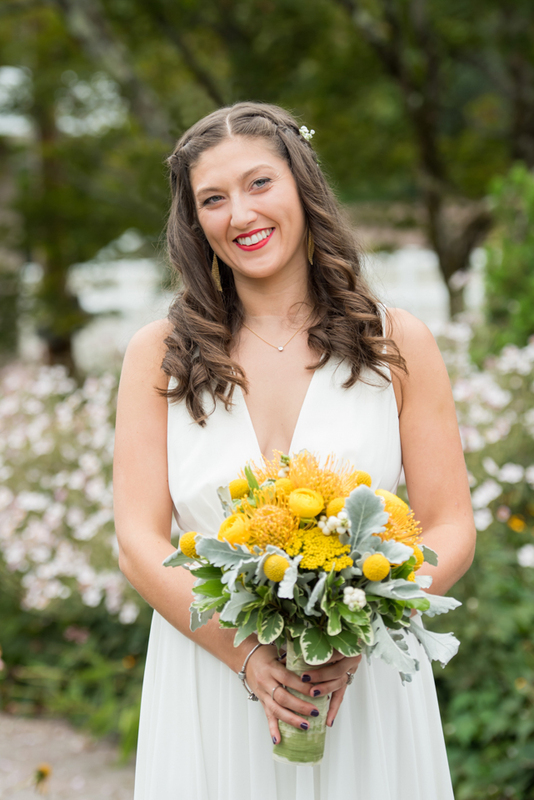 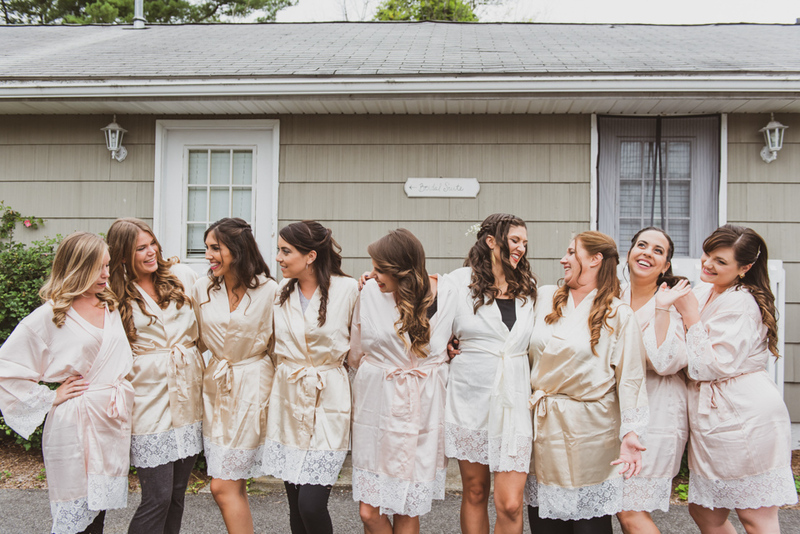 And no ambling down the aisle for the flower girl—theirs was pulled in a wagon. 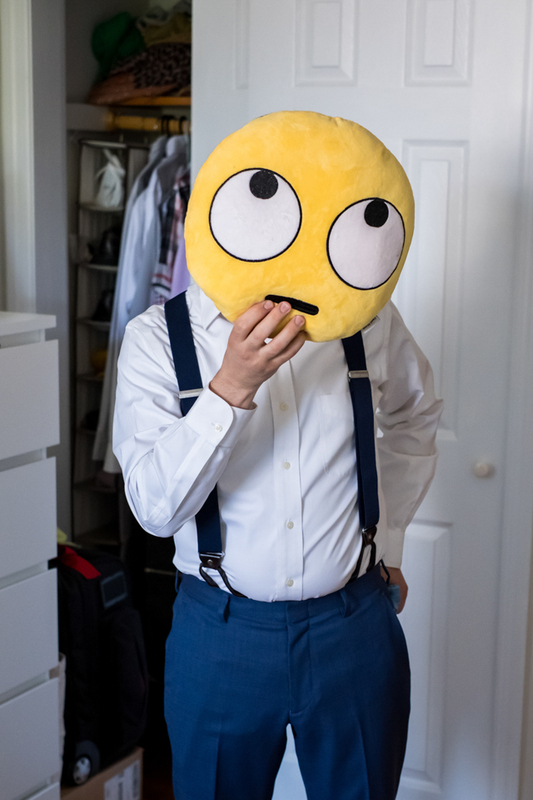 If someone wanted to tone down their formal wear, the family childhood costume collection was available. 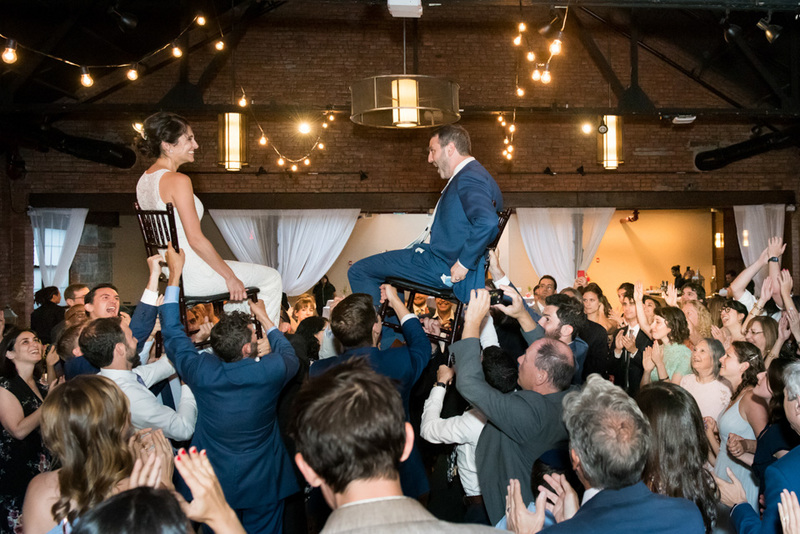 Nope, not your typical affair, and not one any of us will soon forget. 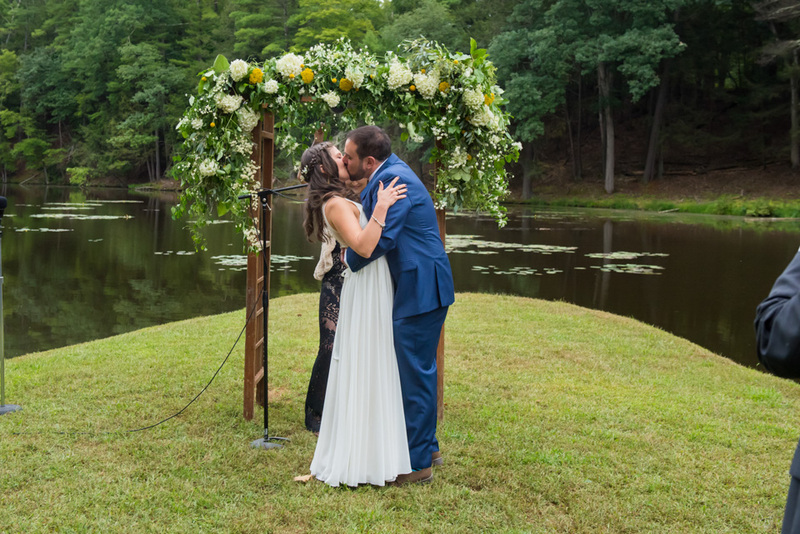 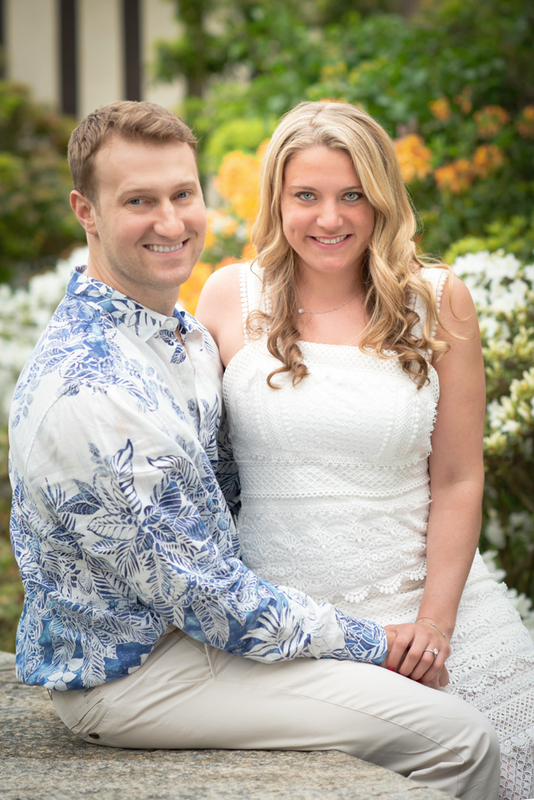 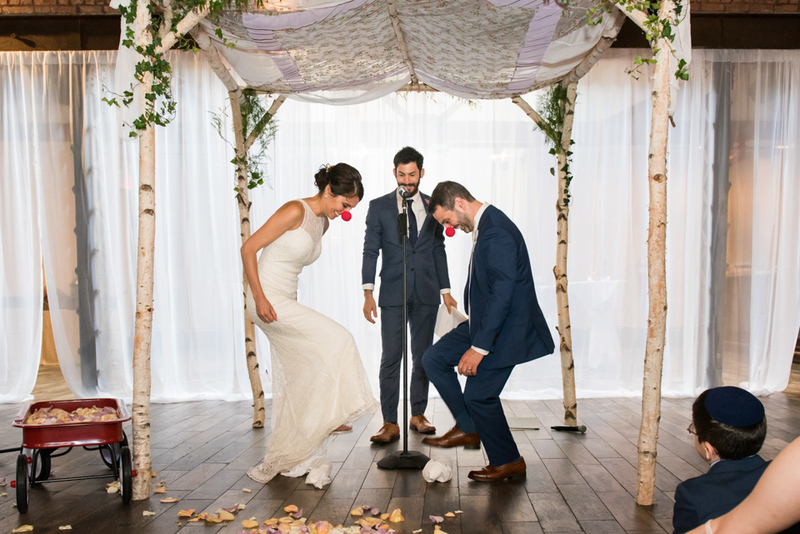 Andrea and Ben may have bonded over their Grateful Dead fandom, but their wedding was a far cry from psychedelic. 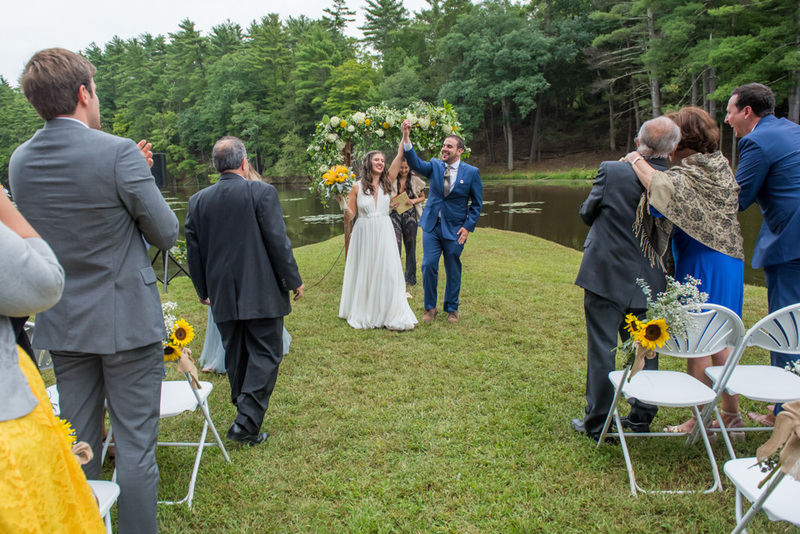 OK, a Dead tribute band did serenade them, but roses and skulls were replaced by sunflowers and Andrea’s cascading waves. 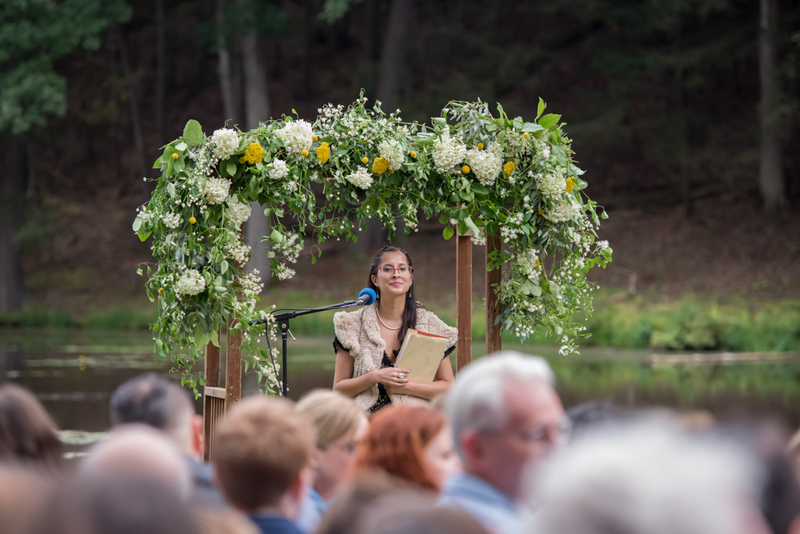 We don’t recall ever seeing a Victorian gazebo or Grecian wedding gown at a Dead concert either, though the Catskill’s Twin Lakes venue’s lawns could have parked a couple of beflowered old VW buses. 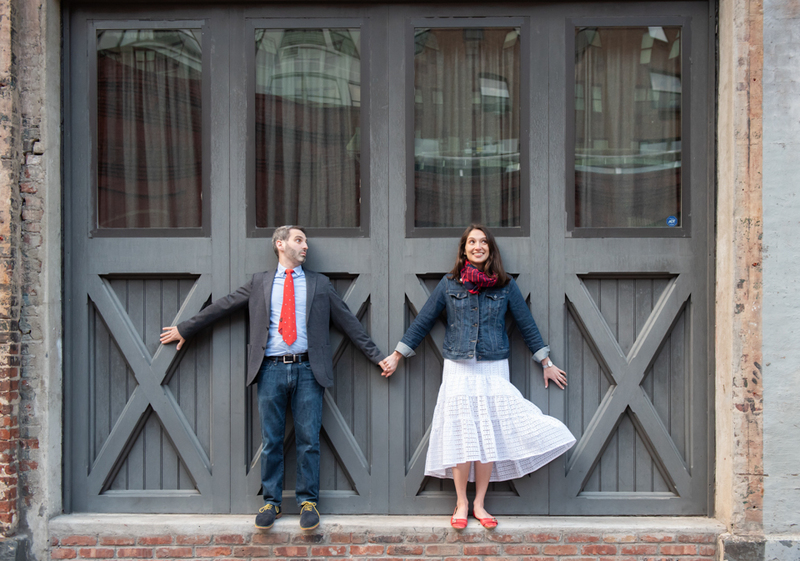 Our wish for them: keep happily truckin’ on! 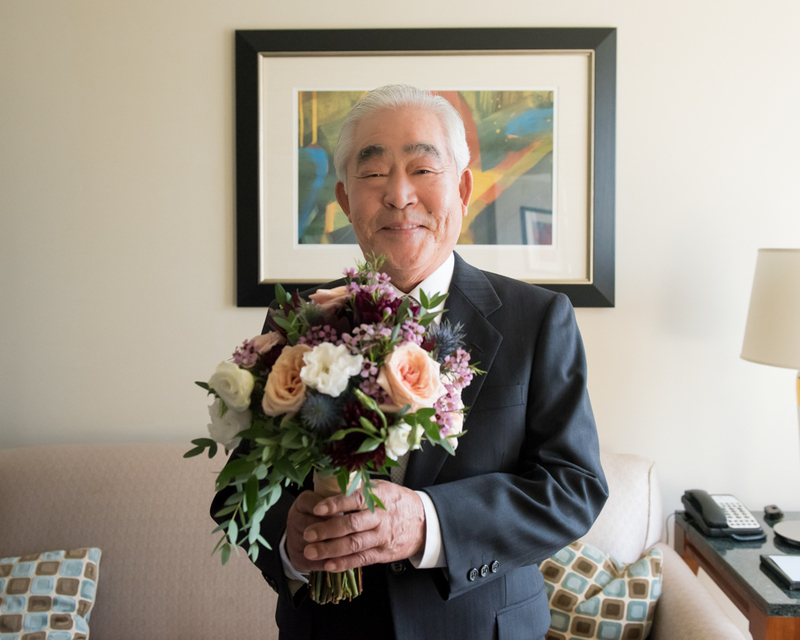 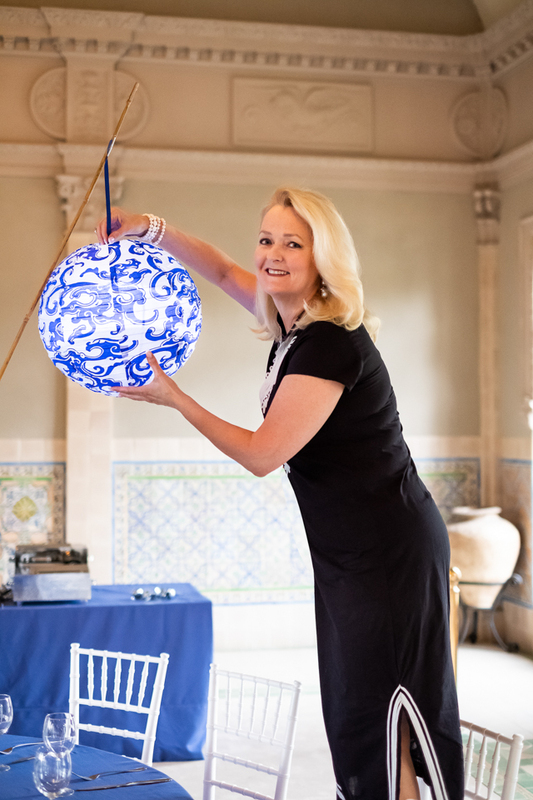 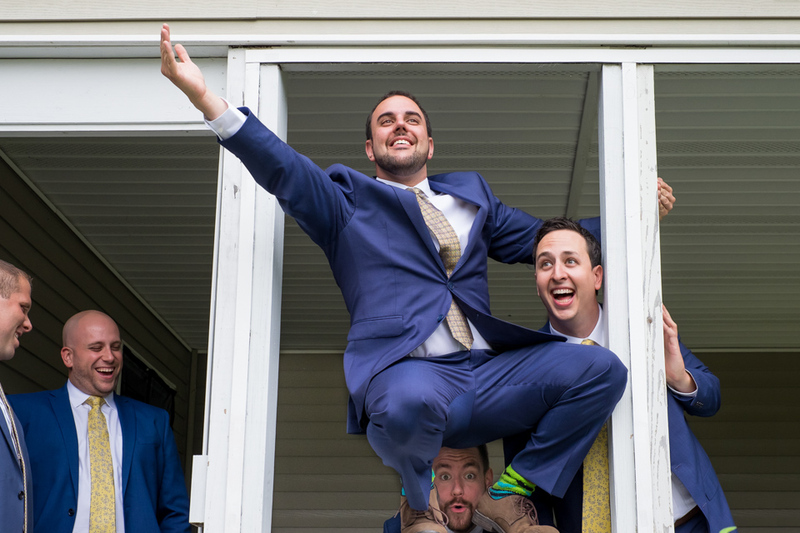 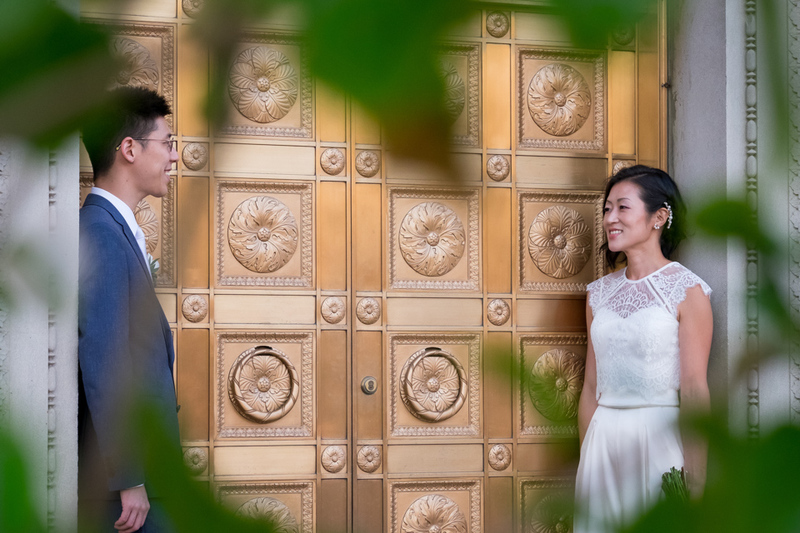 All weddings join two lives, but this one also joined two cultures. 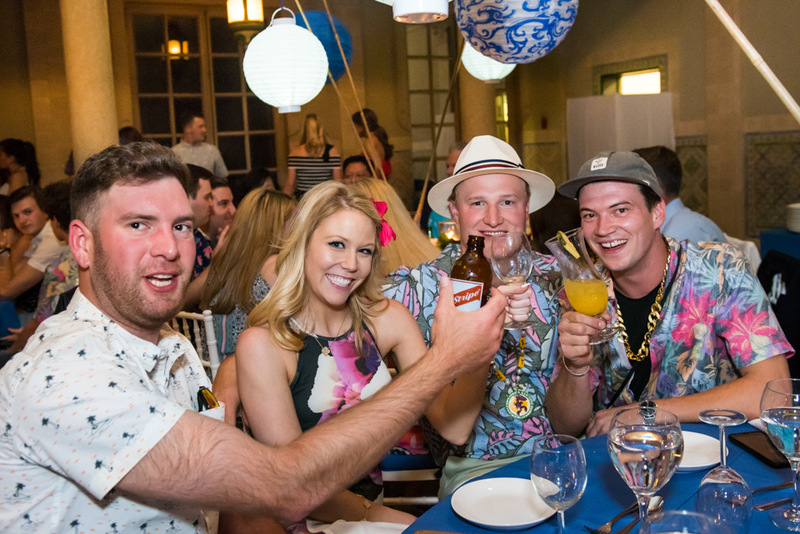 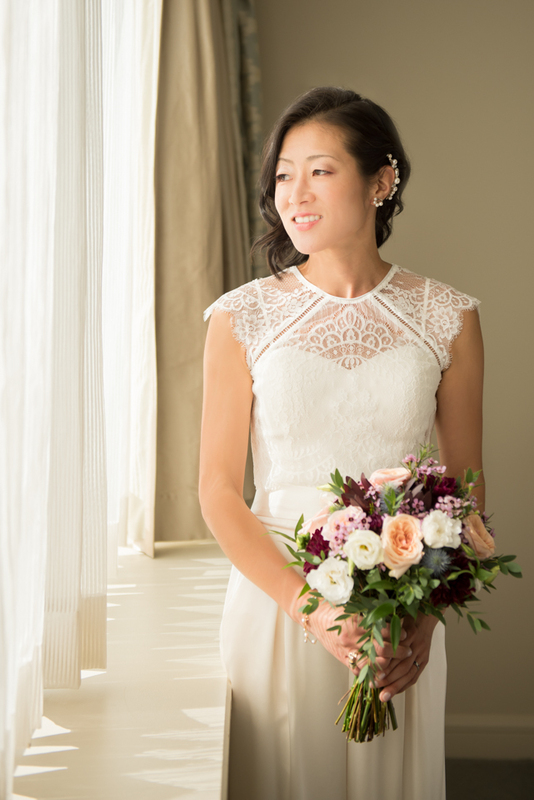 Mari and Aki are wine-tasting, marathon-running Americans but also heritage-loving Japanese. 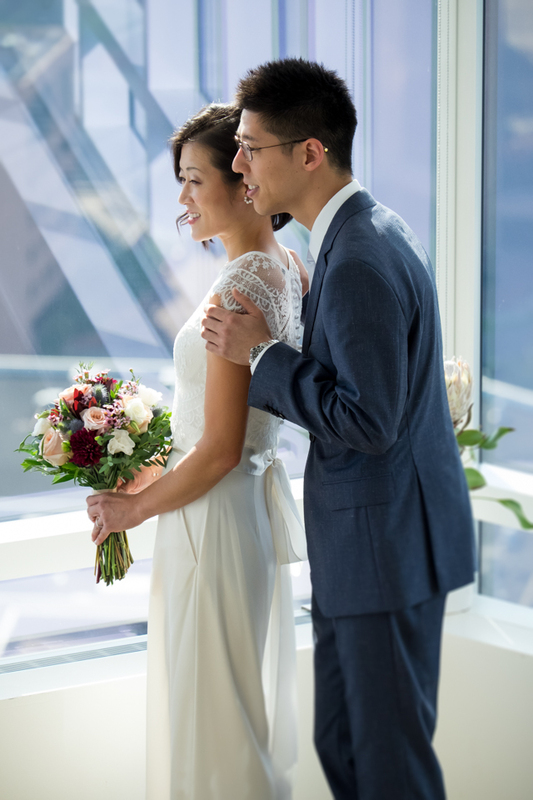 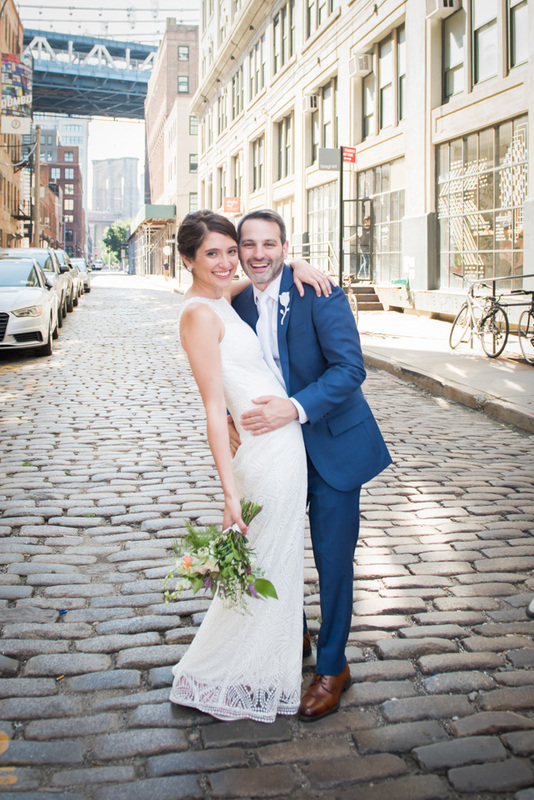 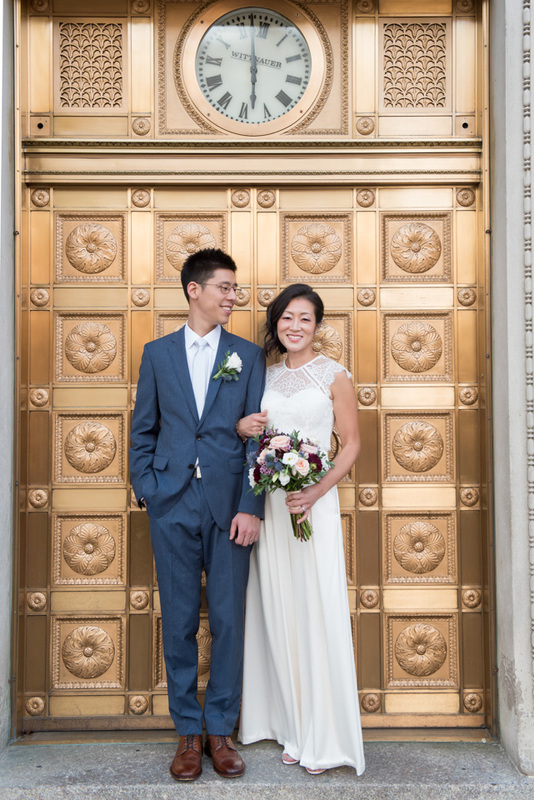 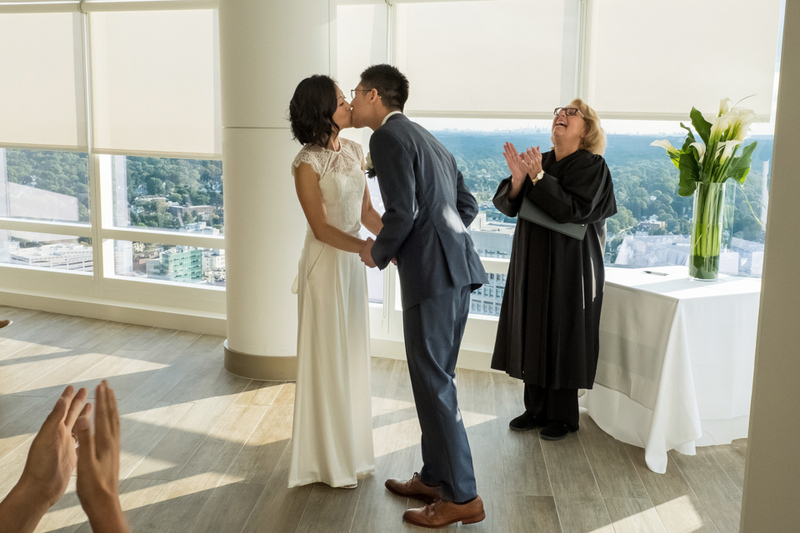 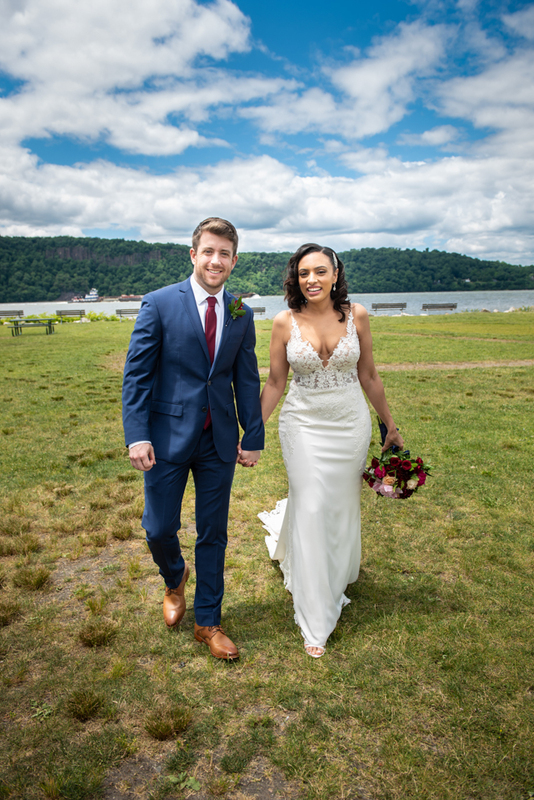 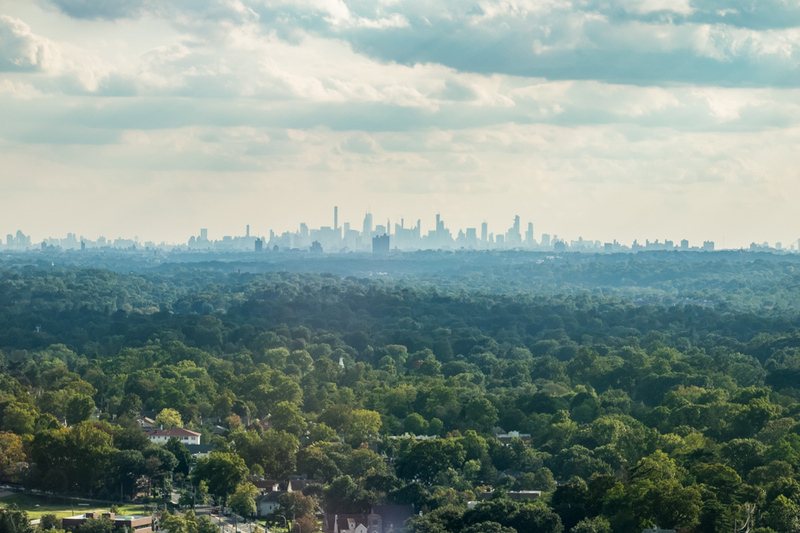 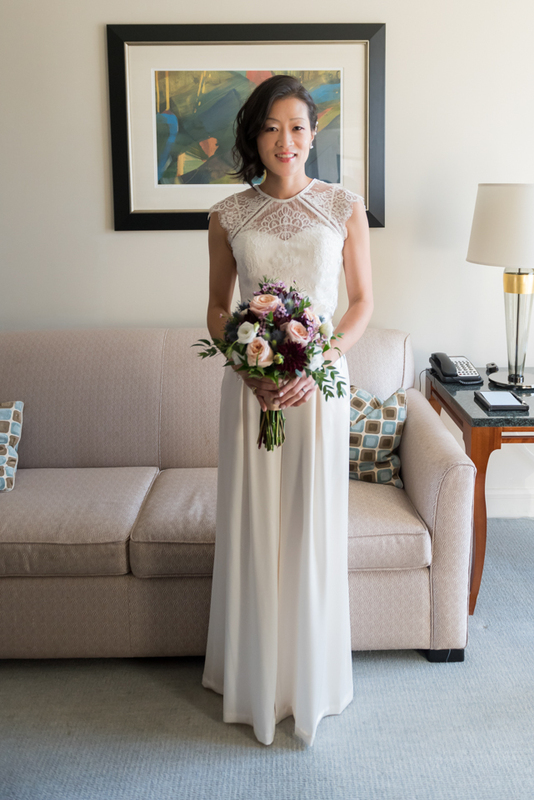 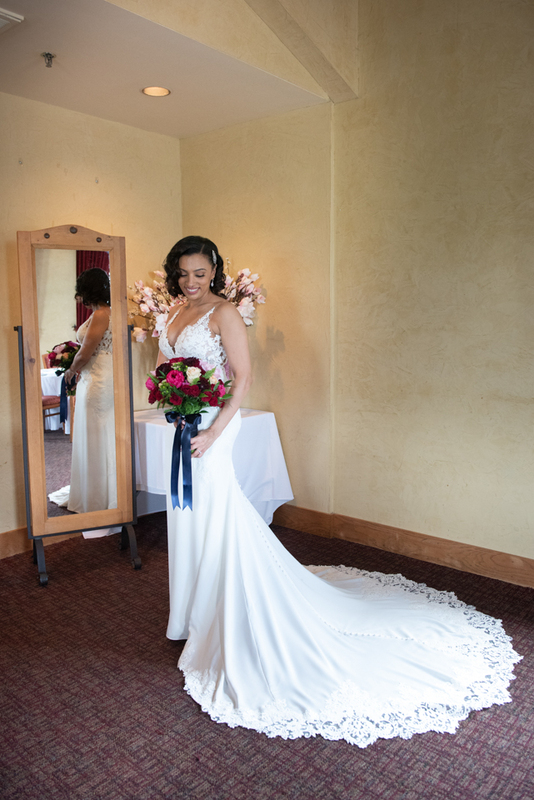 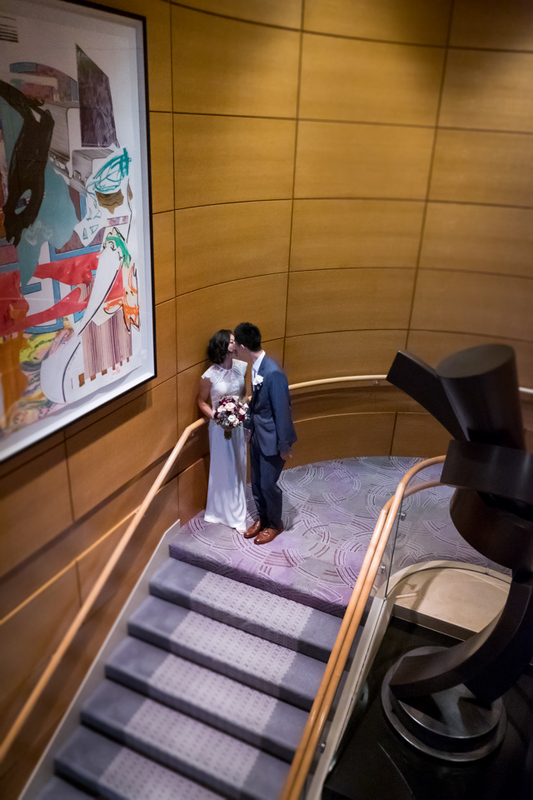 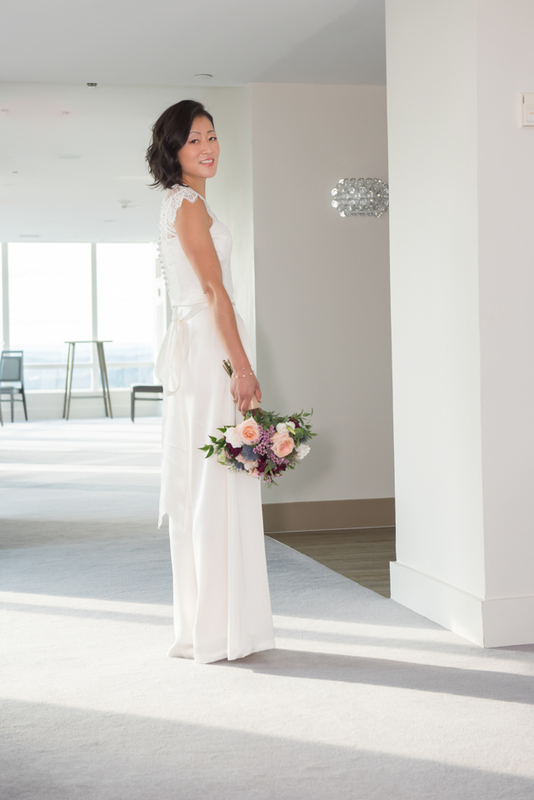 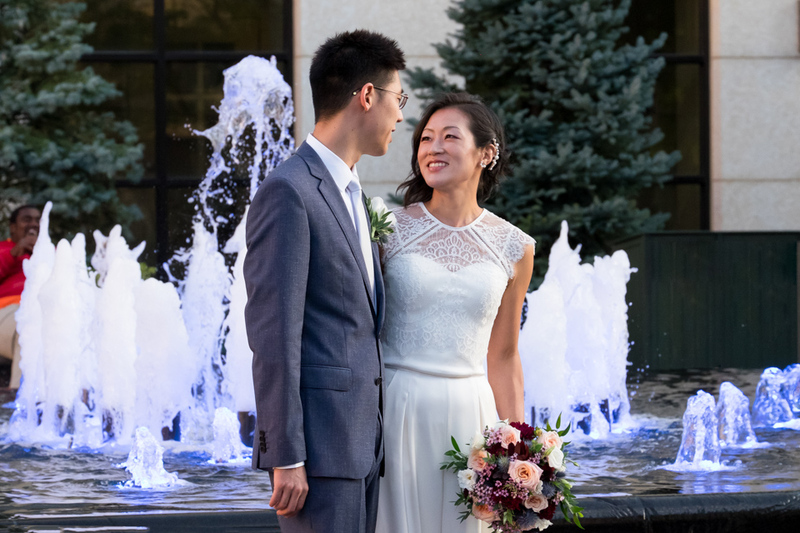 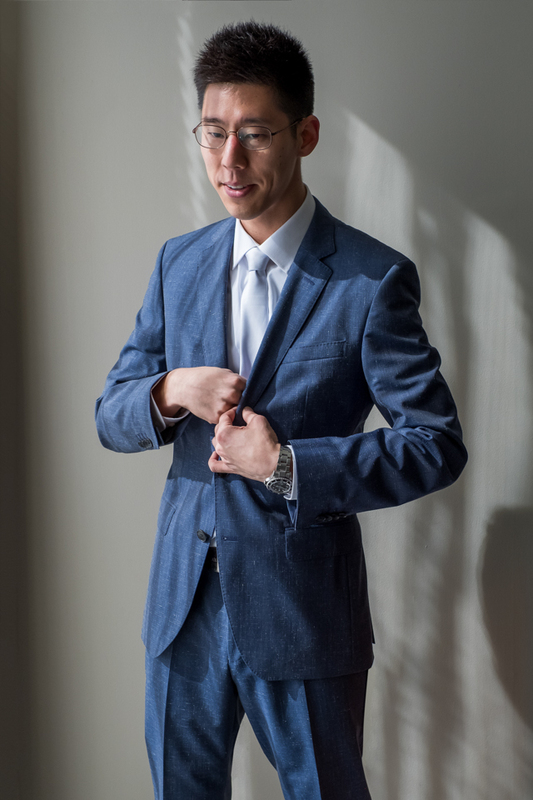 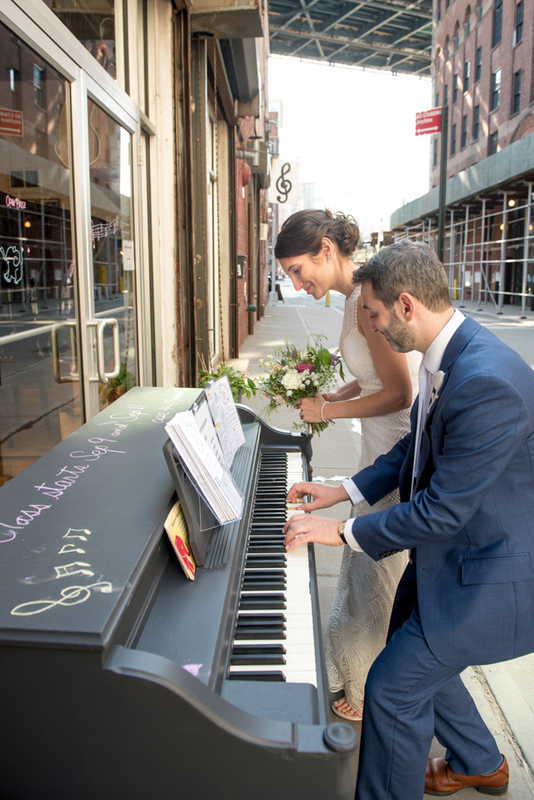 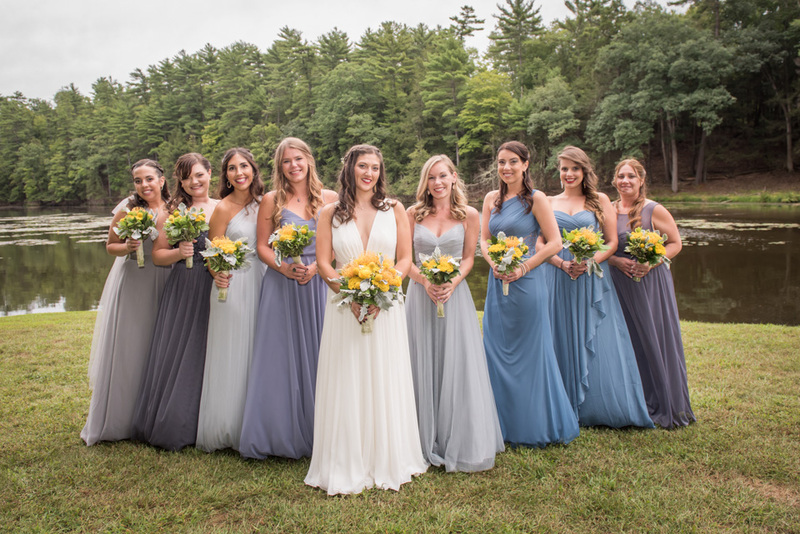 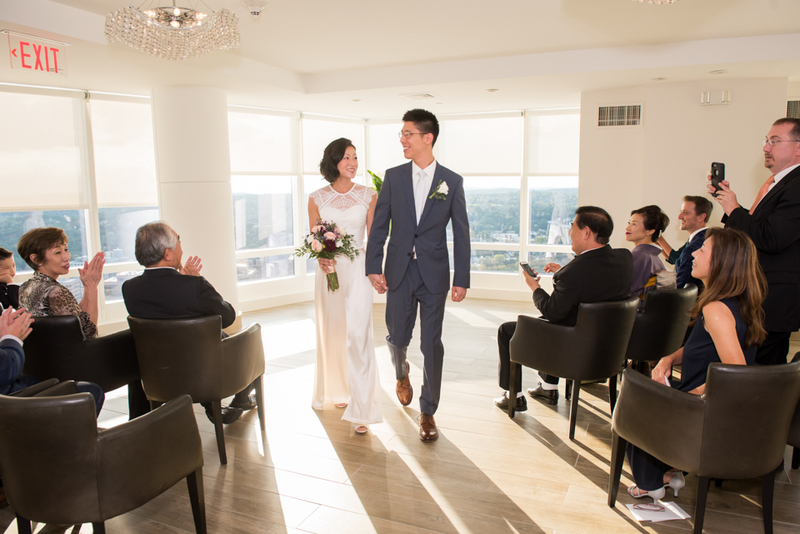 They met at NYU, and married a bit uptown, at White Plains’ modern light-filled Kanopi Restaurant atop the Ritz-Carlton tower. 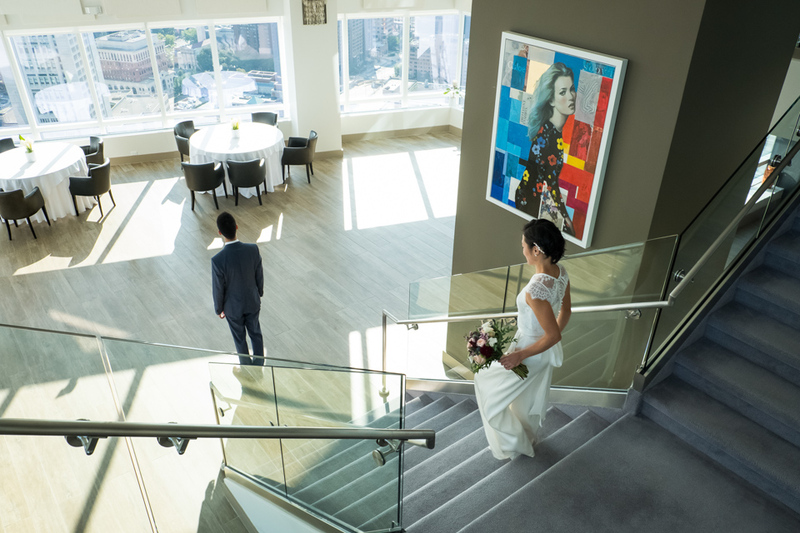 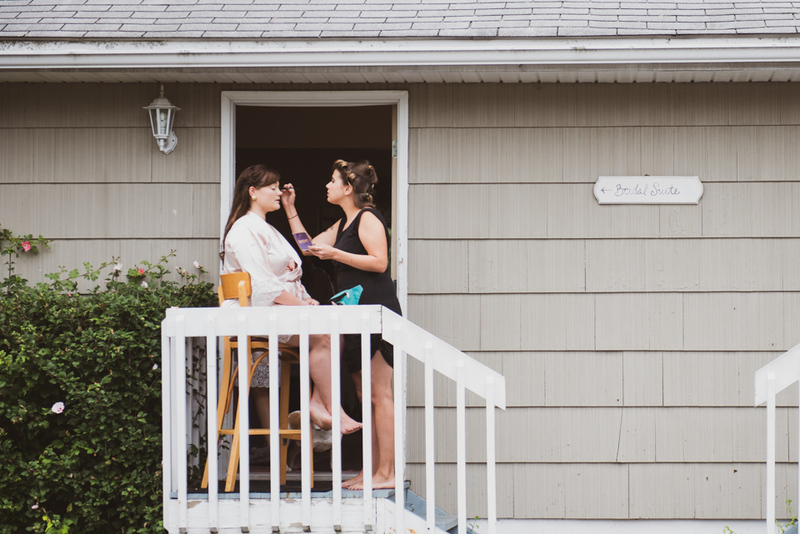 Shooting was a dream in the expansive windowed space, complete with winding staircase and sprawling views. 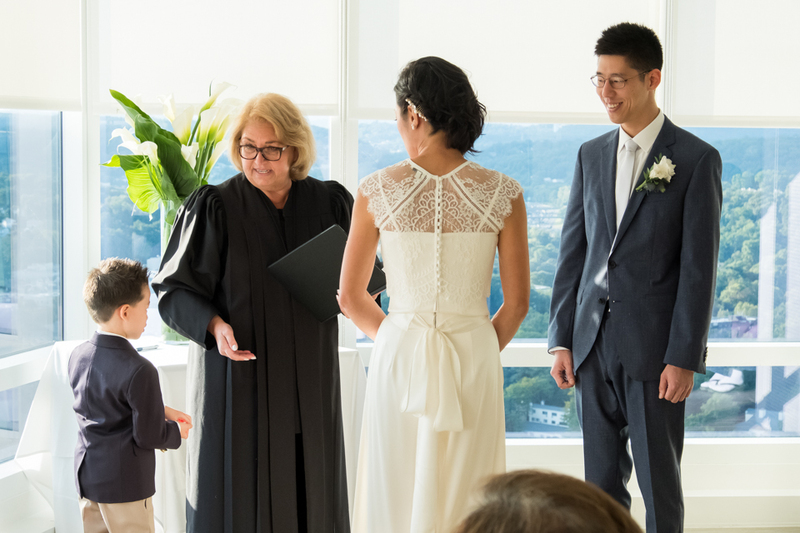 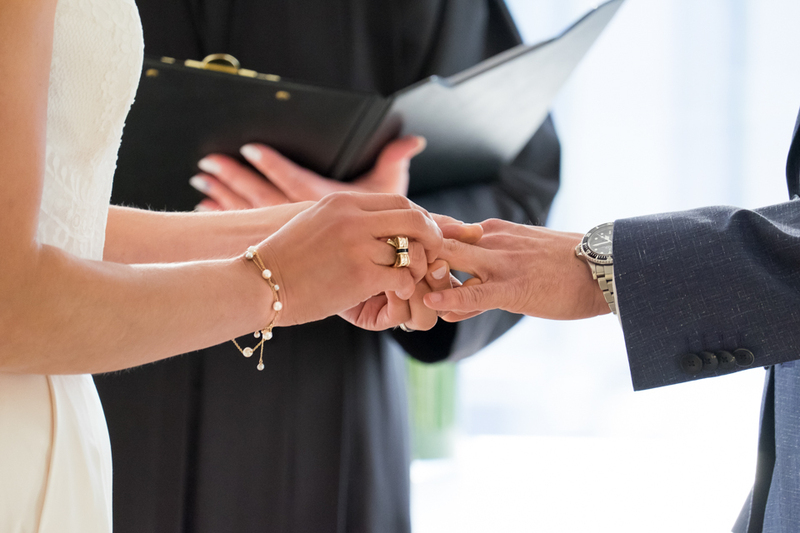 We can’t take credit for introducing them, but we can for marrying them: we referred them to the officiating judge! 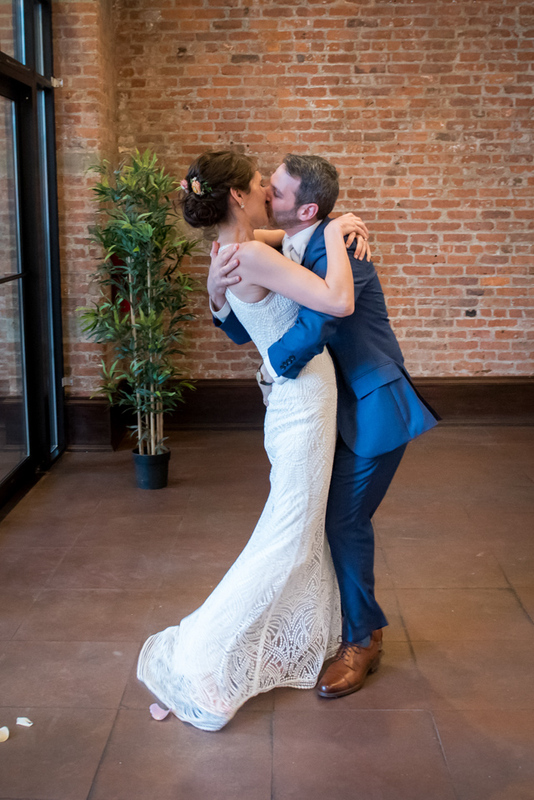 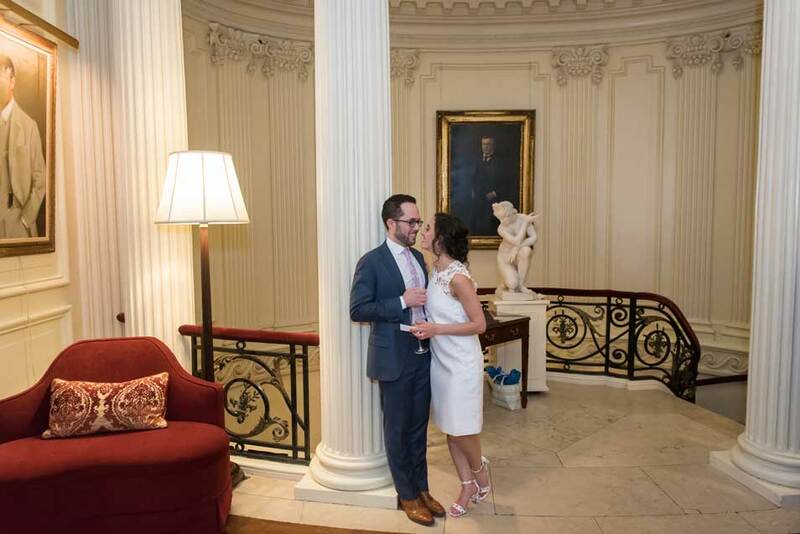 Leia and Jim – From office to official – Until our own kids get married, we’re most sentimental when our friends’ kids do. 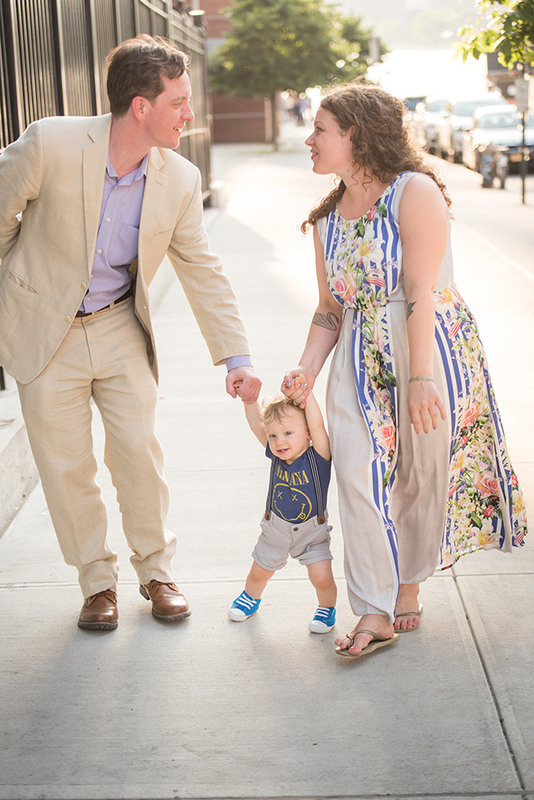 Three years ago, it was our high school chum’s daughter, and in October, it’ll be his son, Jim. 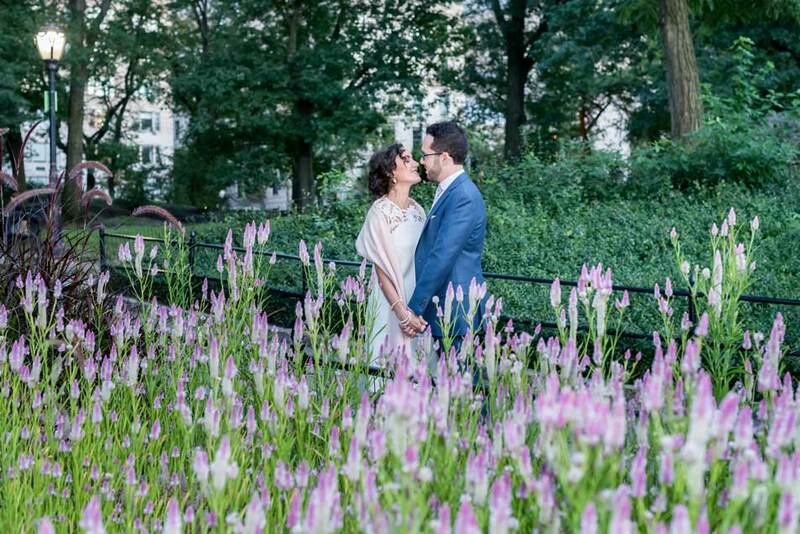 He met Leia at work four years ago, but it took a job change and a few more years for romance to blossom. 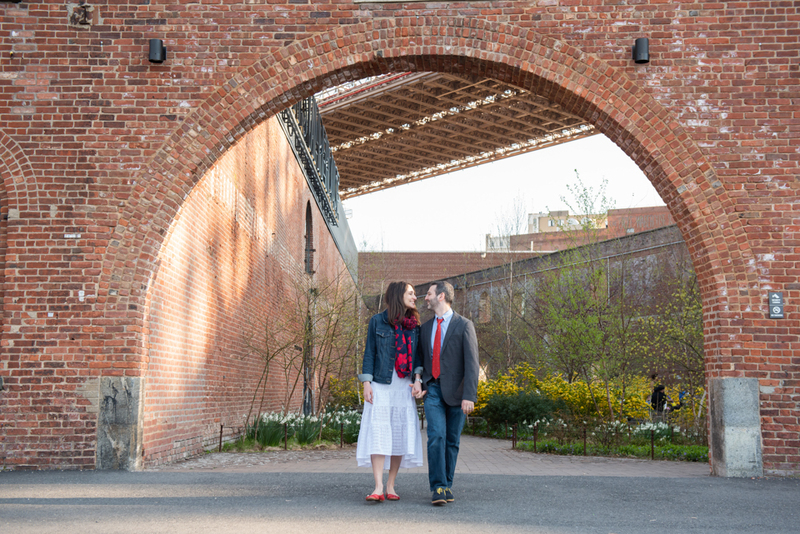 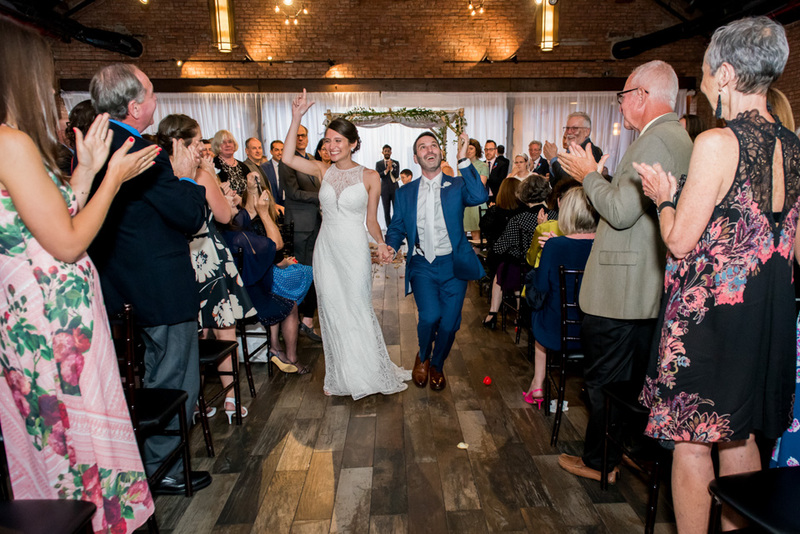 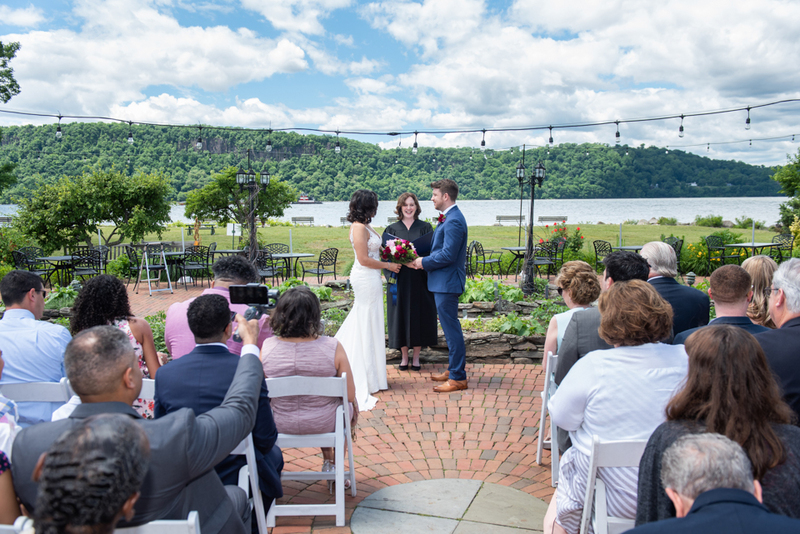 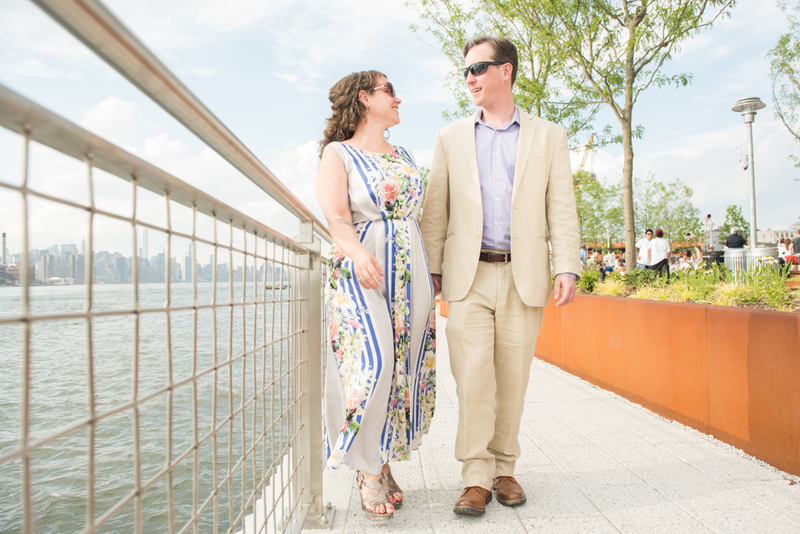 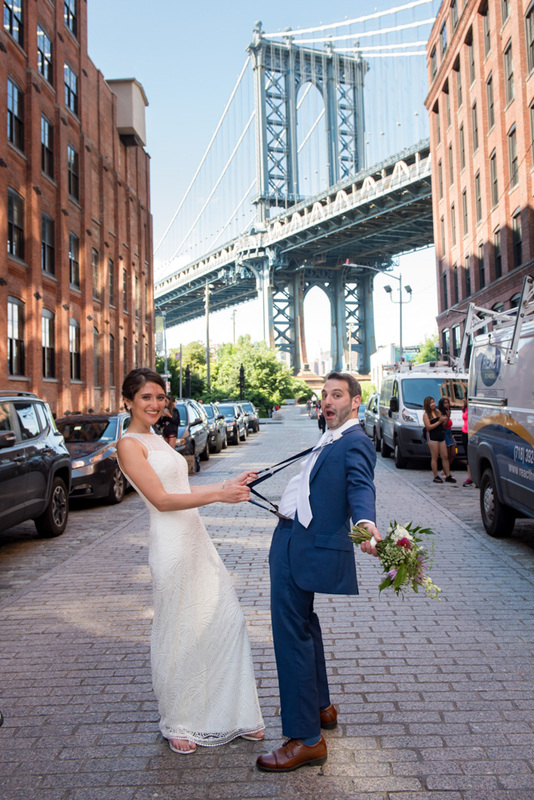 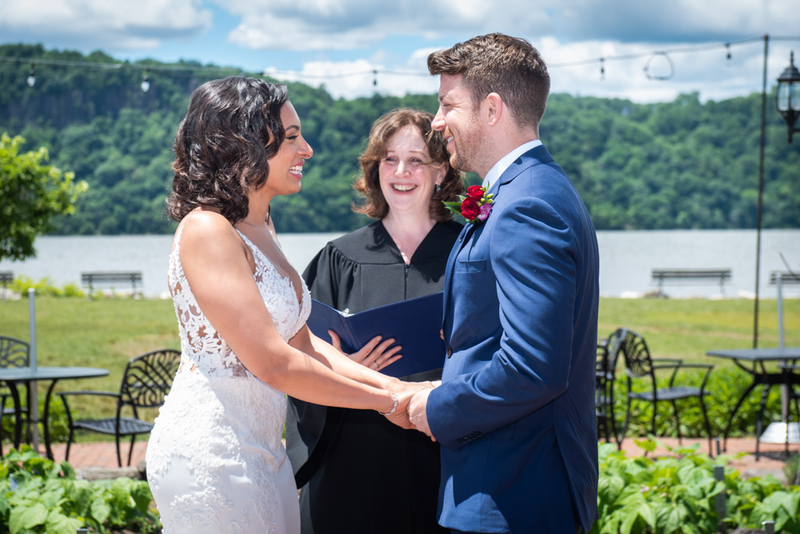 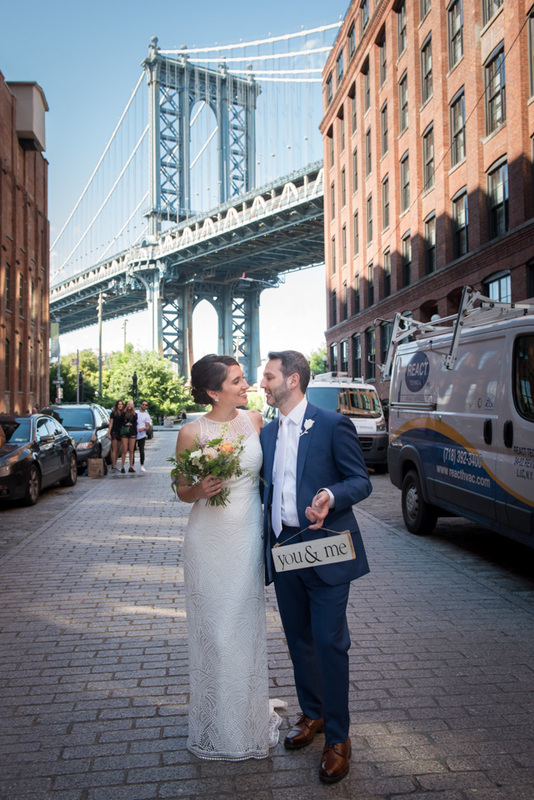 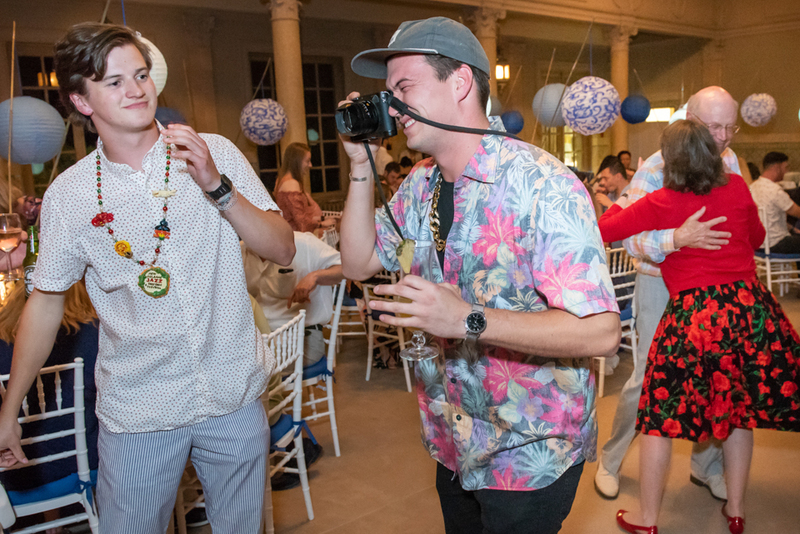 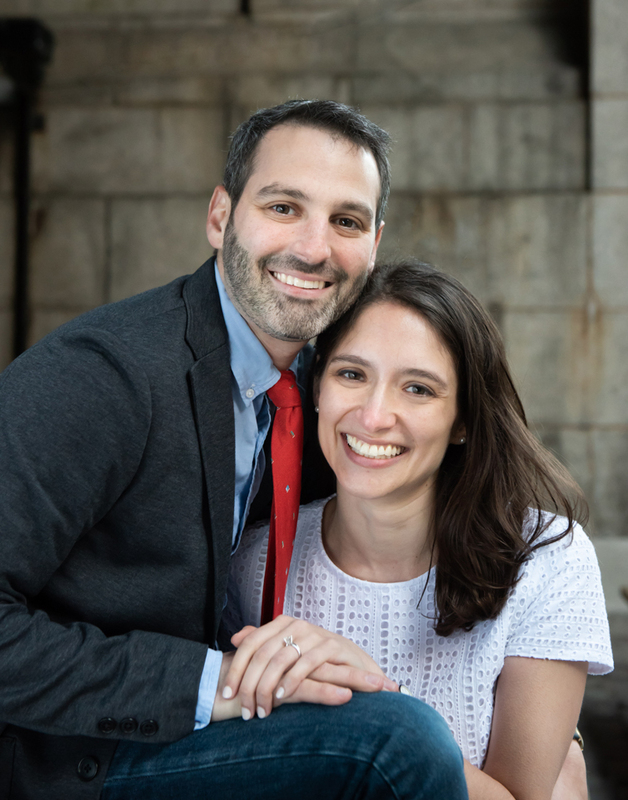 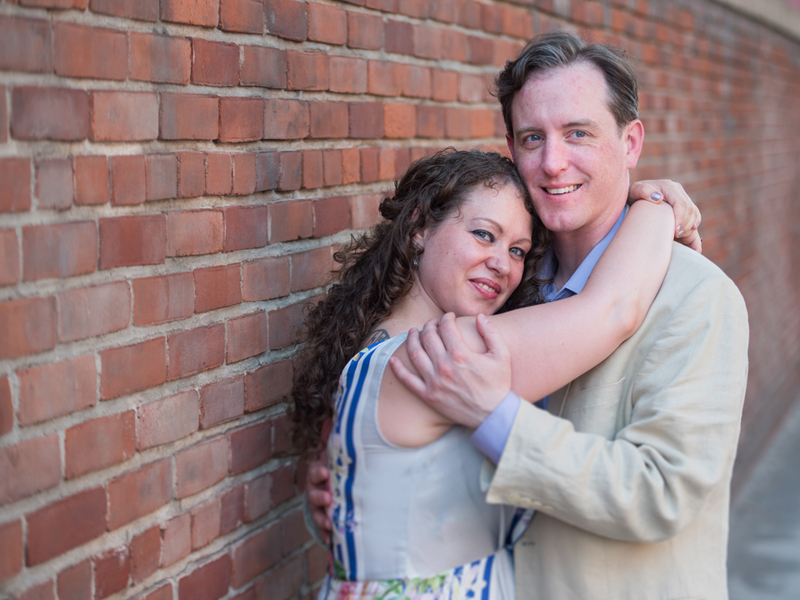 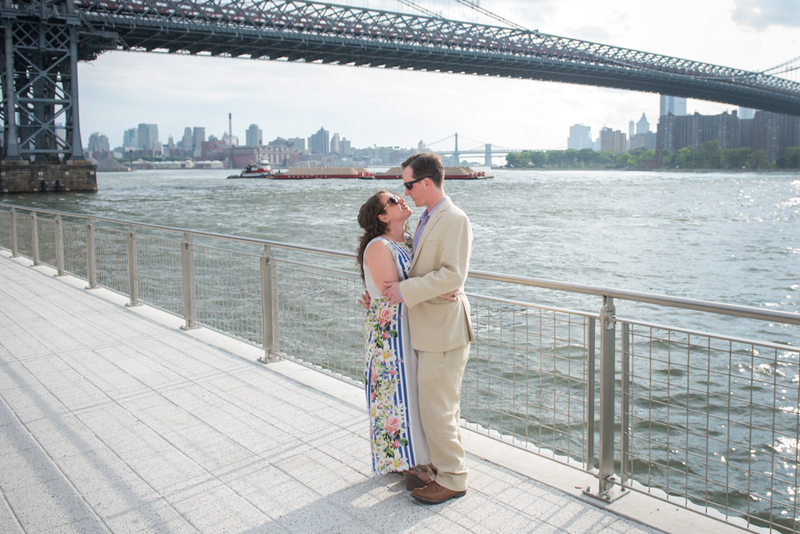 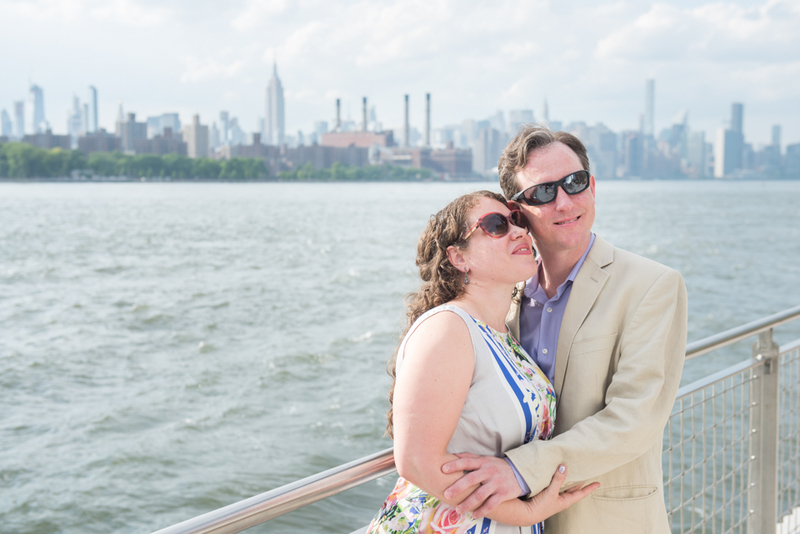 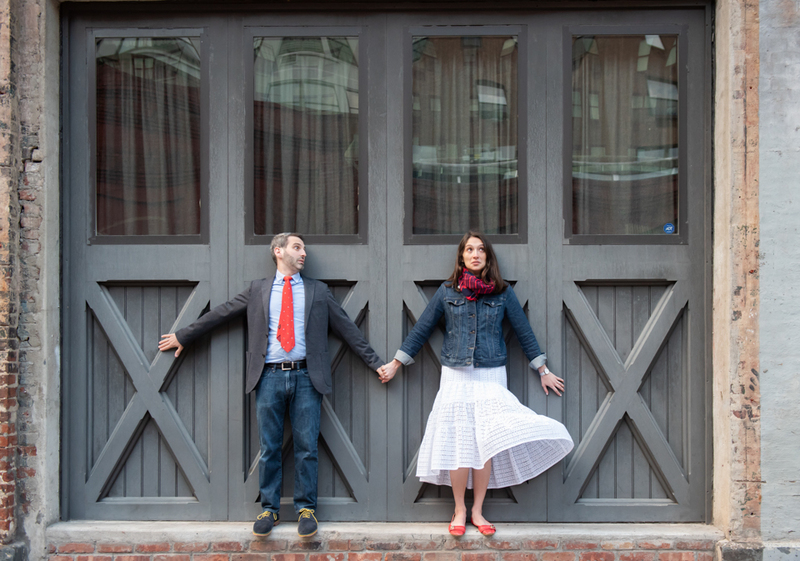 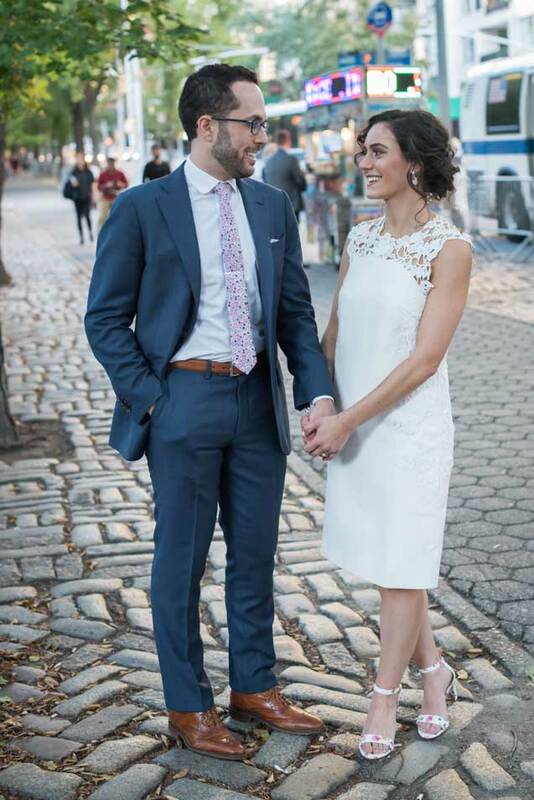 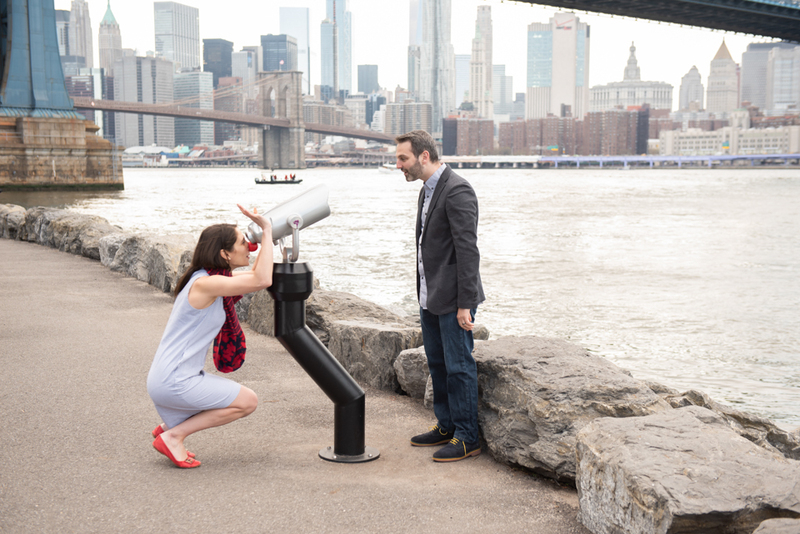 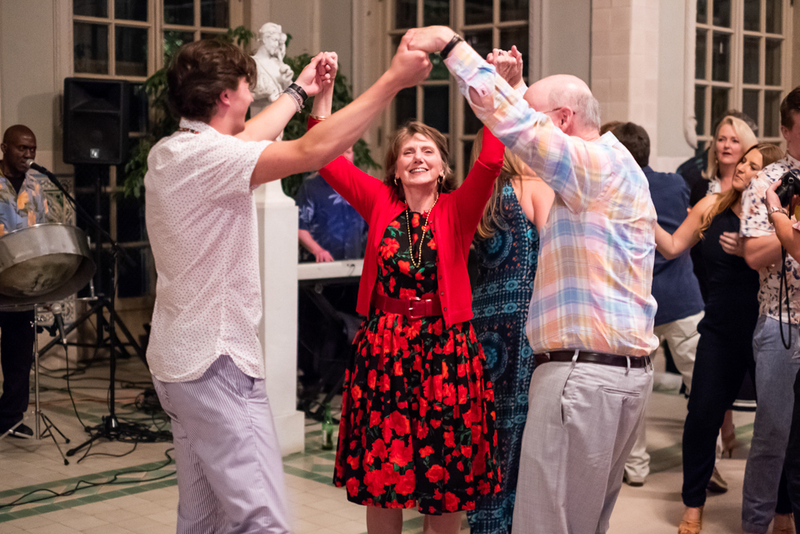 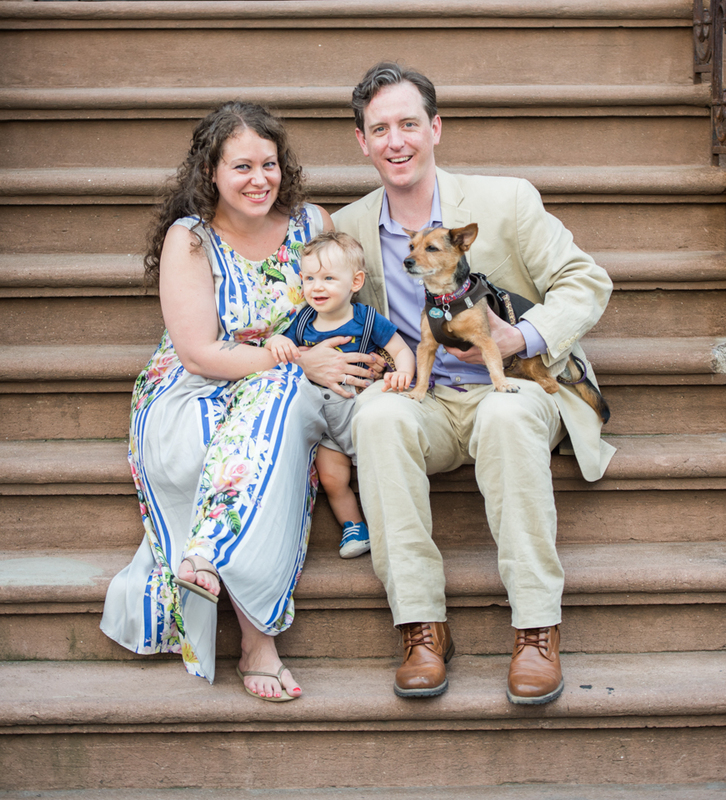 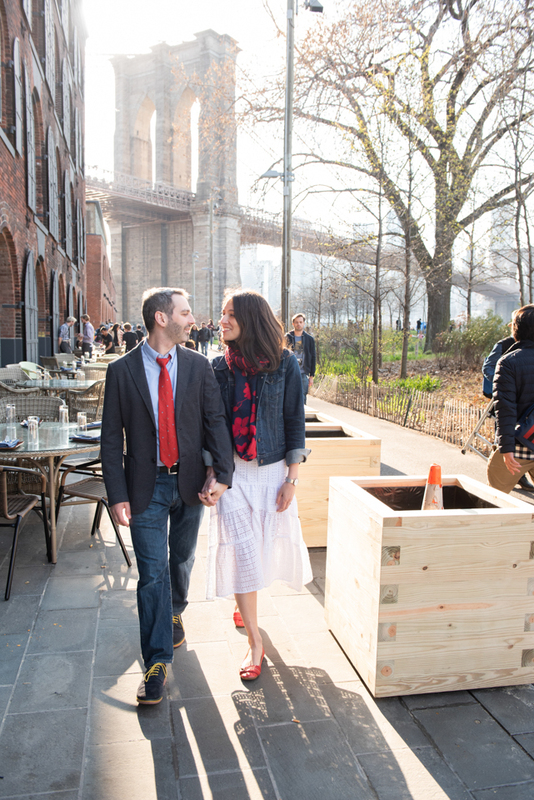 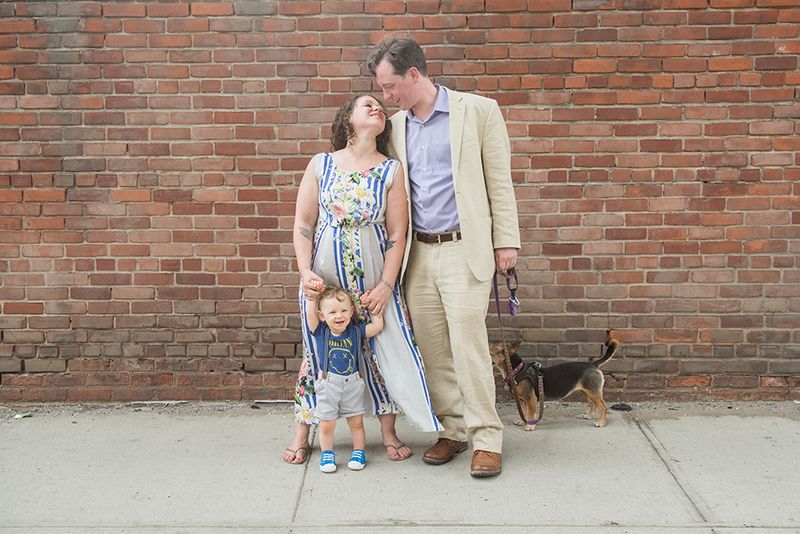 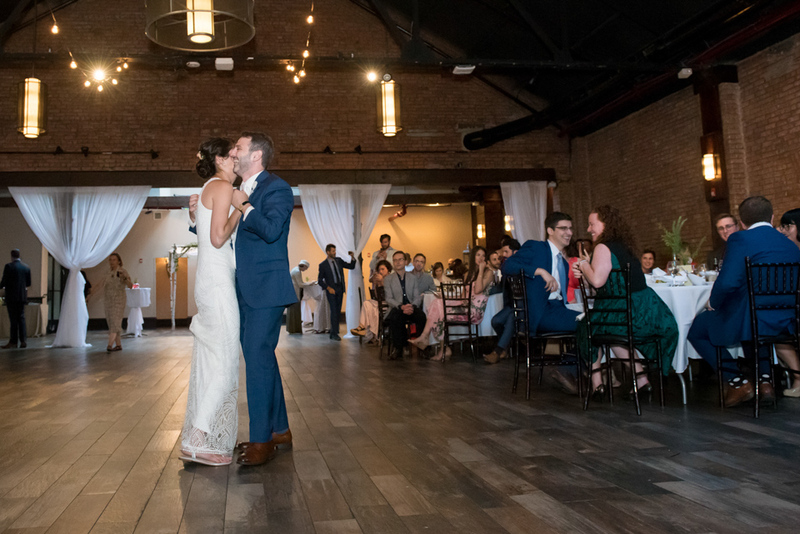 And blossom it did, as the family photos here on the Brooklyn waterfront show: their adorable son will be the ring bearer at the wedding under vintage chandeliers at Manhattan’s 19thCentury venue, Harding’s. 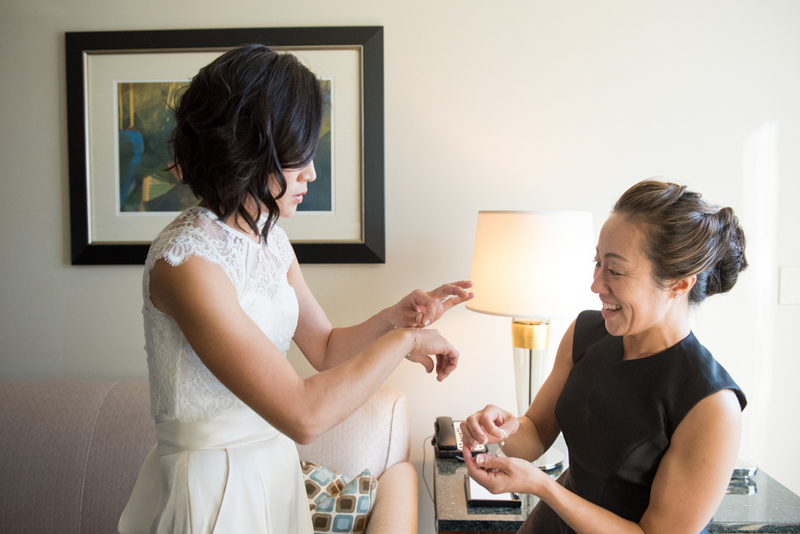 We’ll be bearing cameras and tissues for our tears! 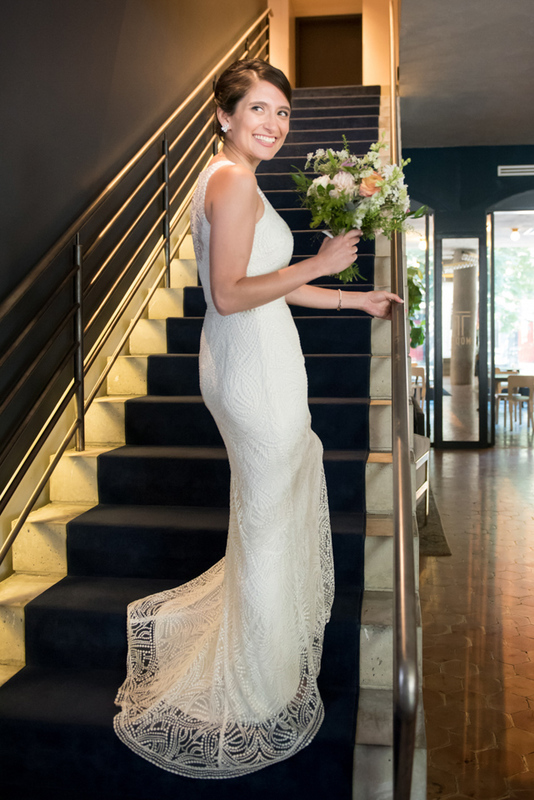 All engagements are about the future, but this one is about the past too… we’ve watched Allie grow from gangly teen to a gorgeous, and accomplished, woman. 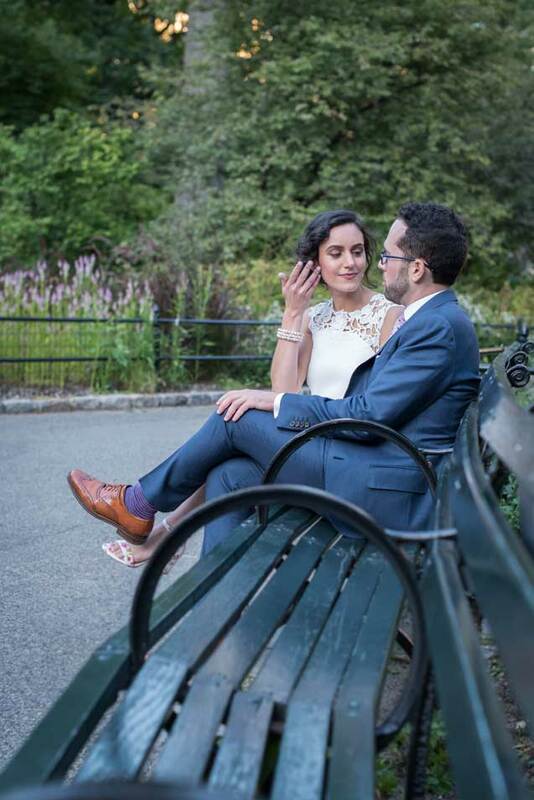 She’s a psychologist PhD now, about to marry Josh, her Brandeis undergrad friend, himself an accomplished film maker. 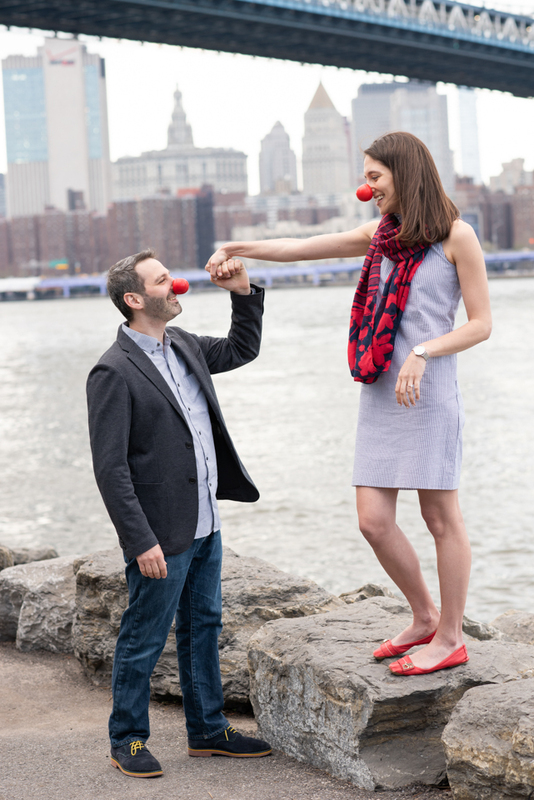 He also moonlights as a comedian, which explains his proposal offering a ring inside a Walgreen’s red nose. 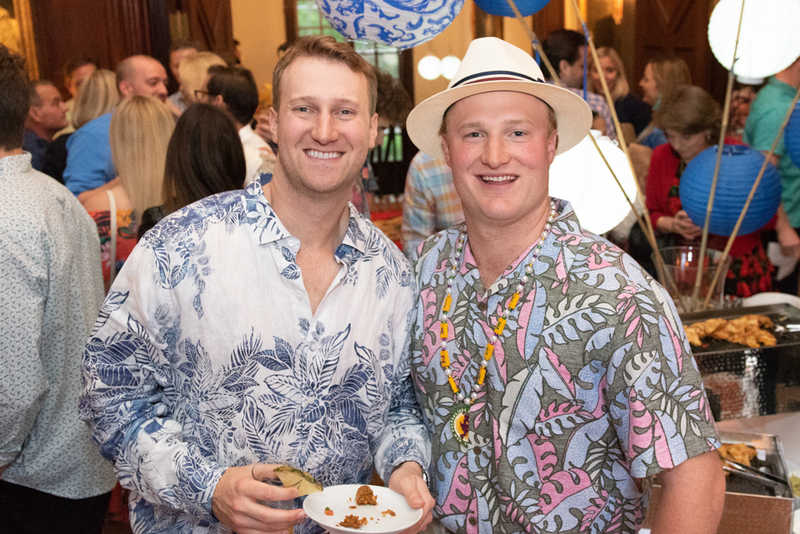 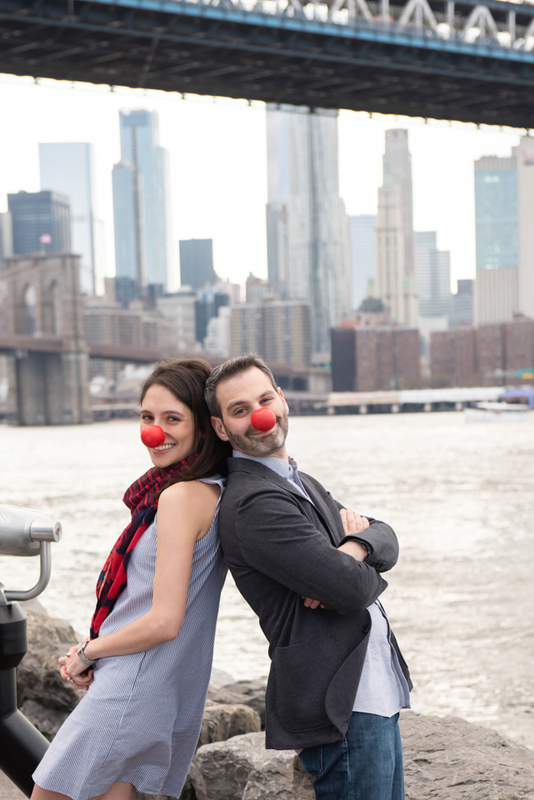 Funny, yes, but sentimental too: they bought red noses on their first date after reconnecting in Chicago, and wore them the whole night. 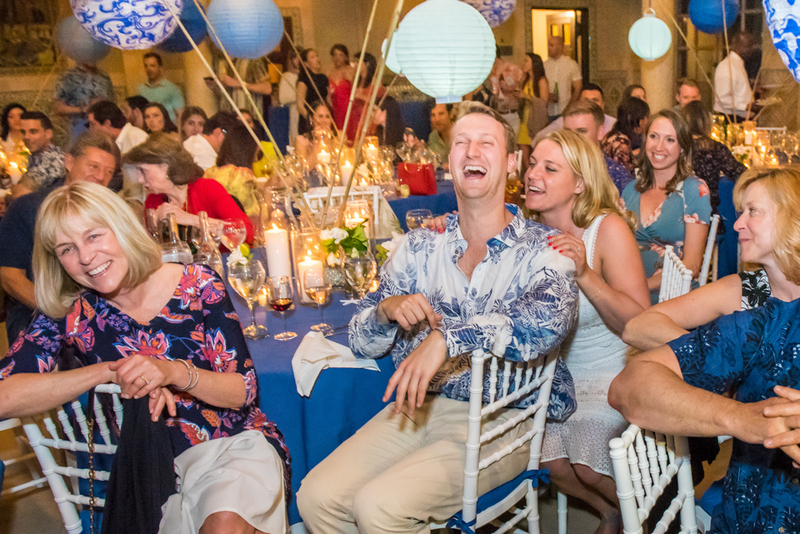 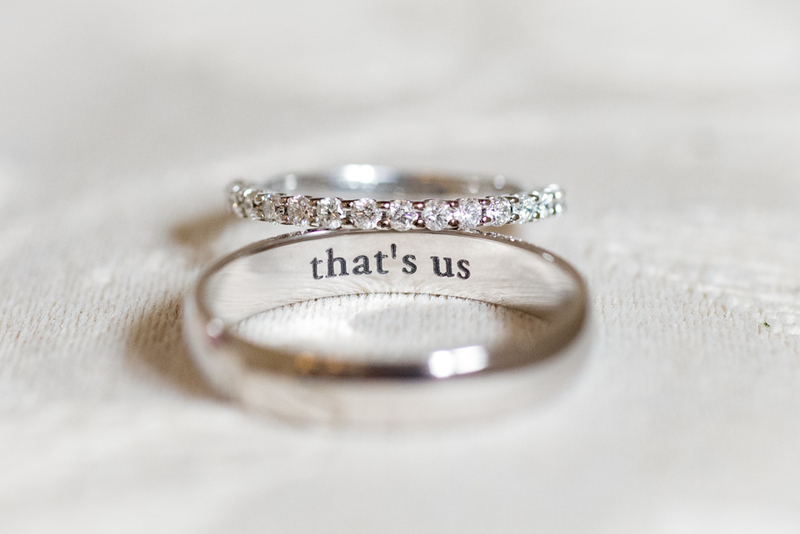 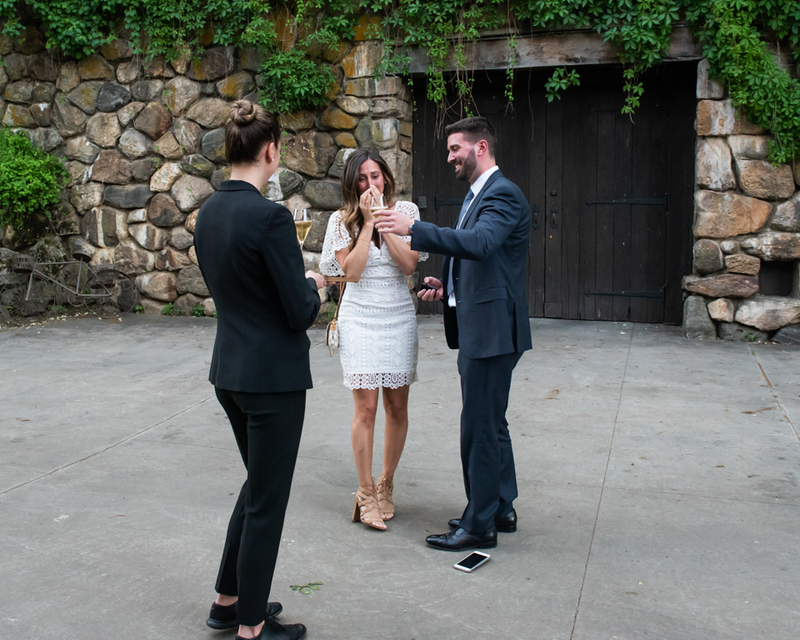 We wish them a lifetime of continued laughter! 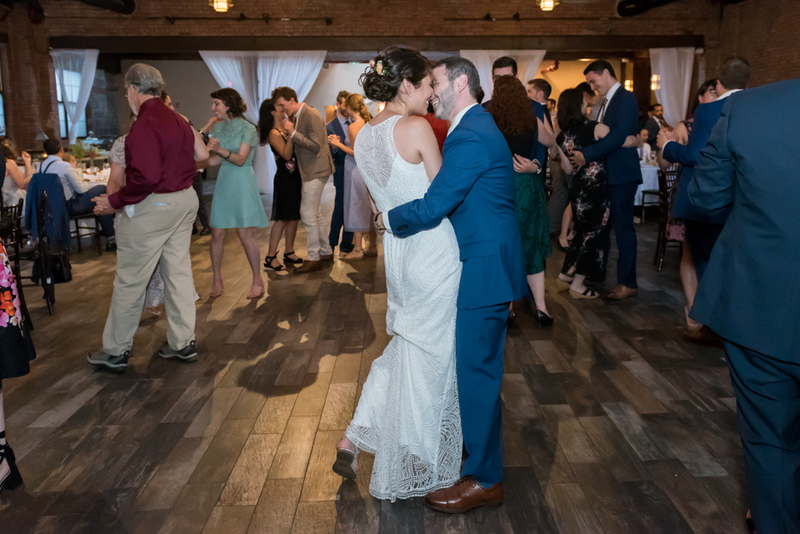 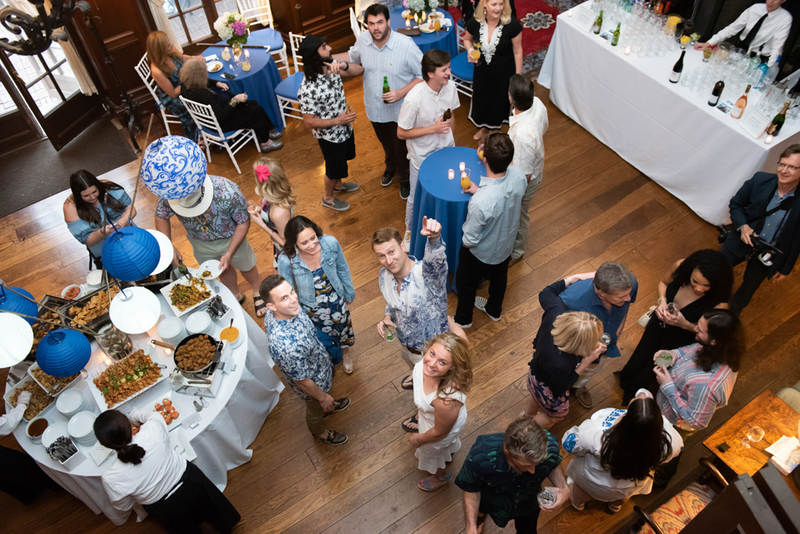 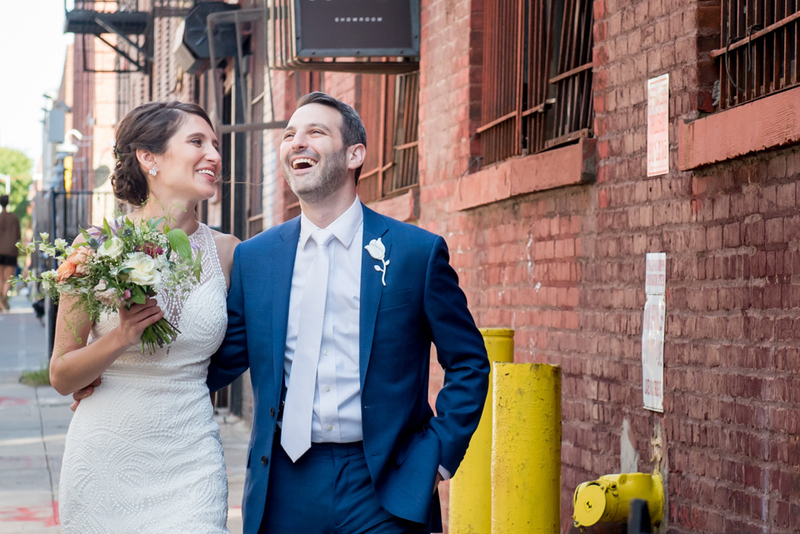 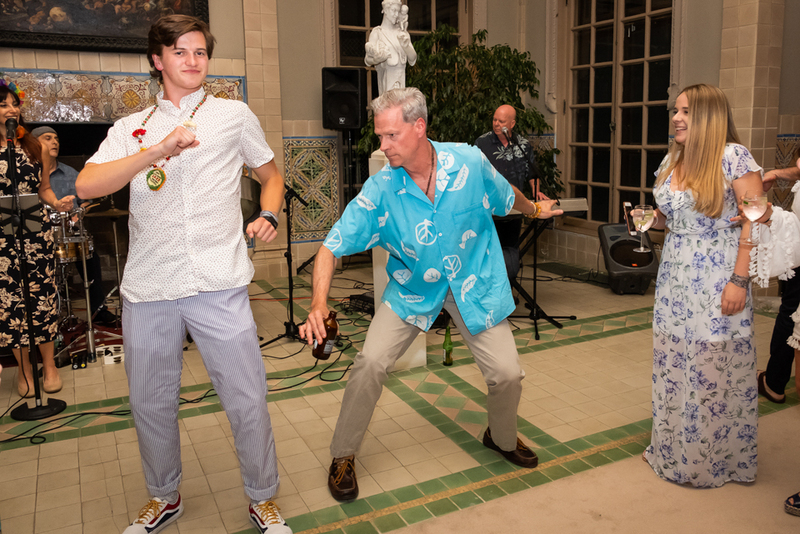 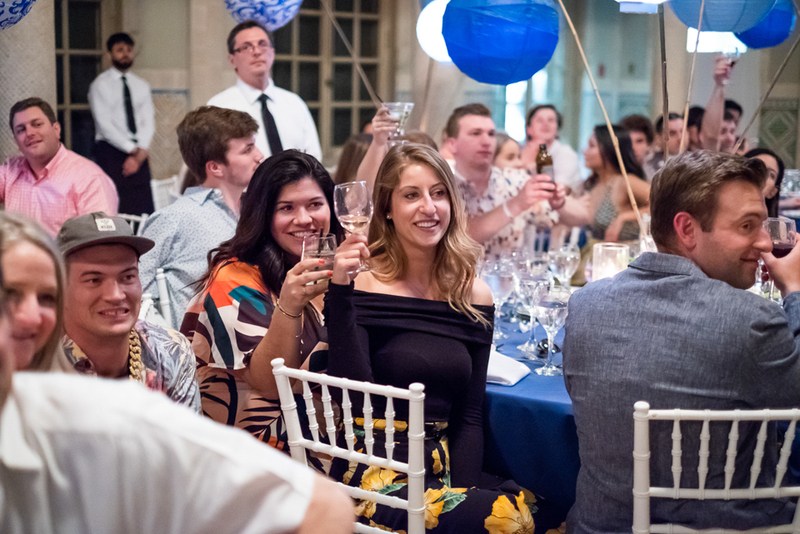 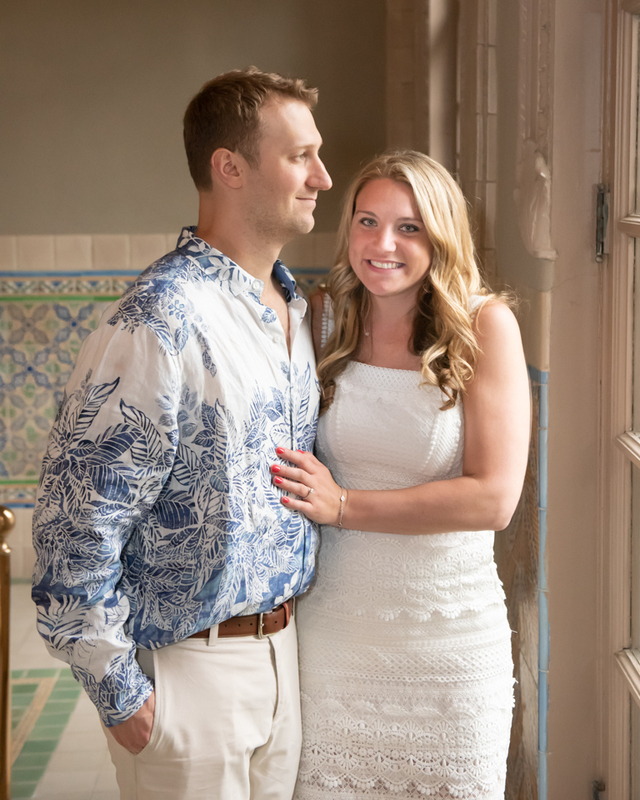 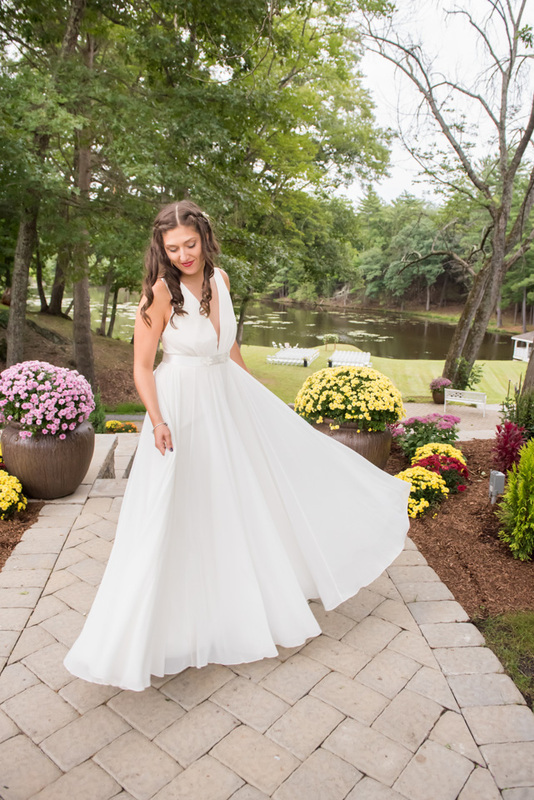 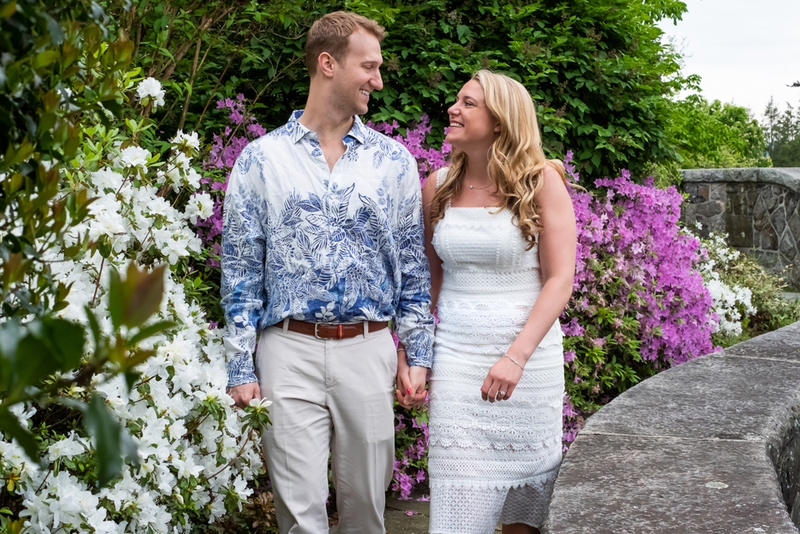 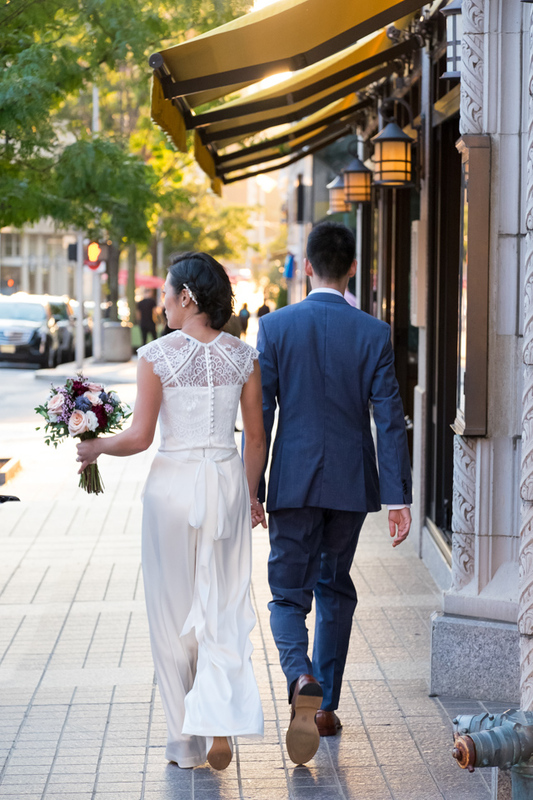 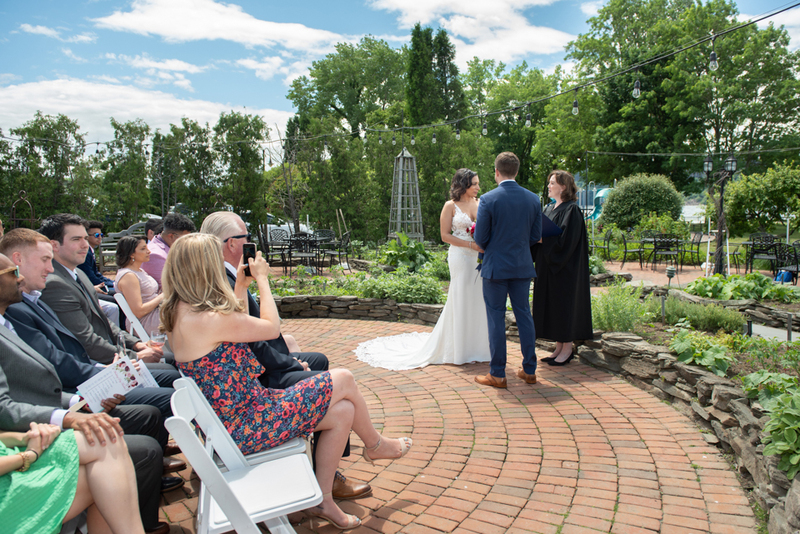 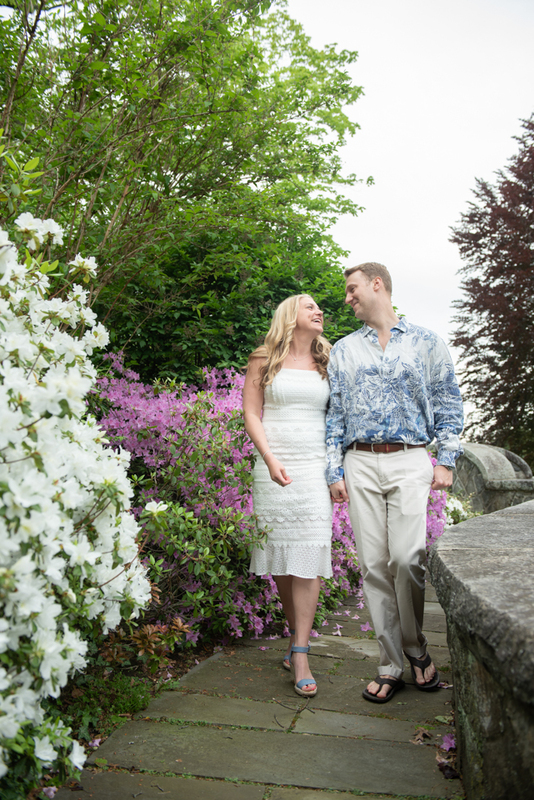 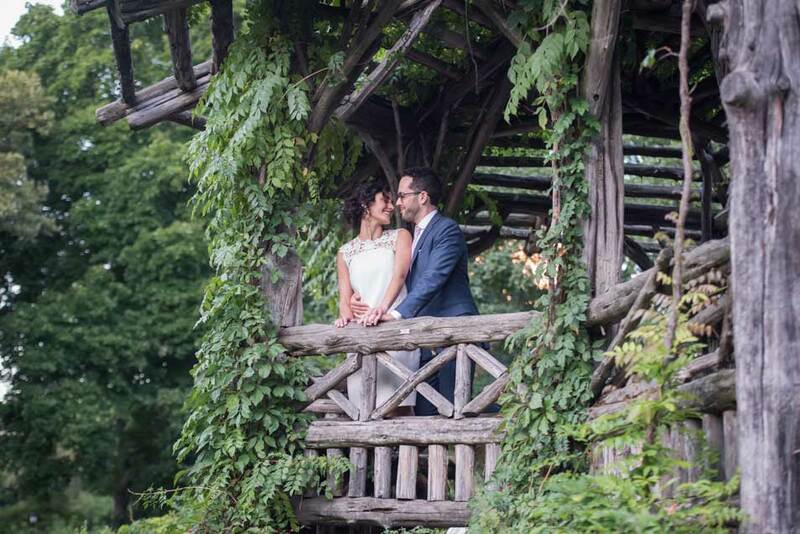 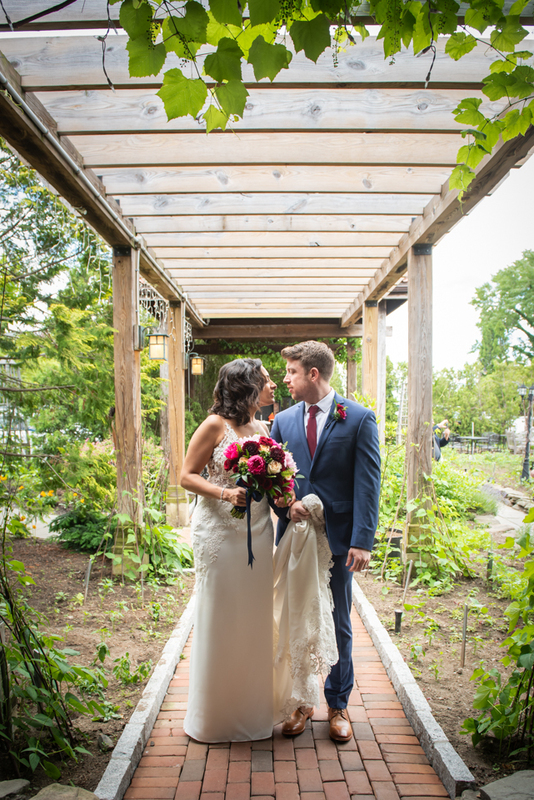 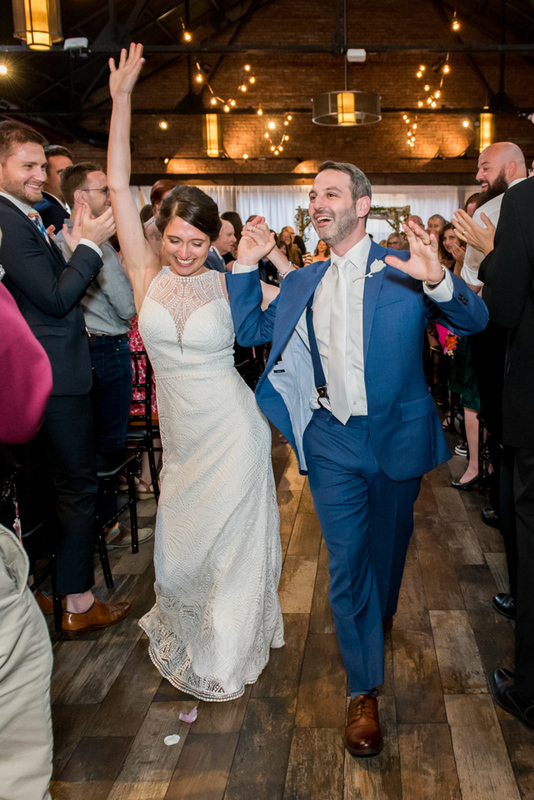 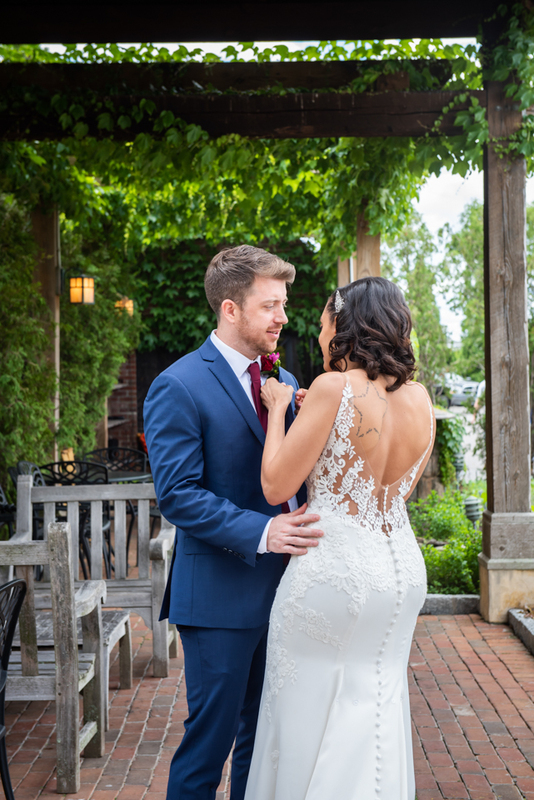 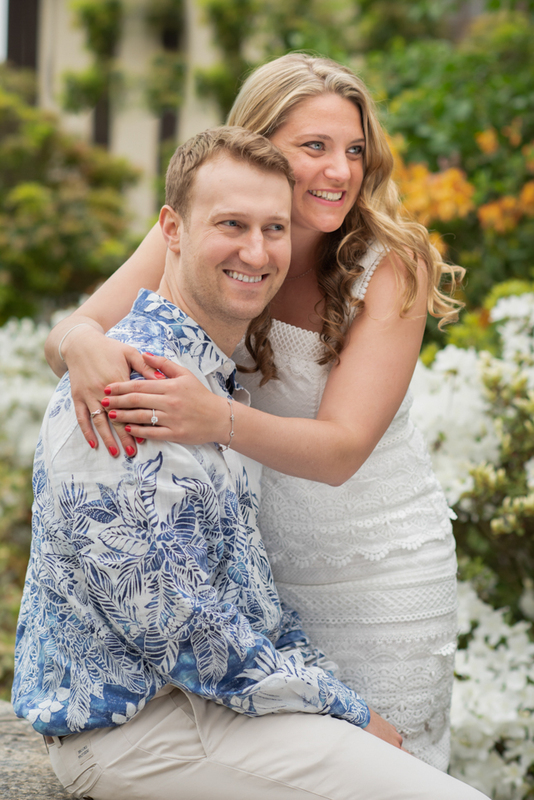 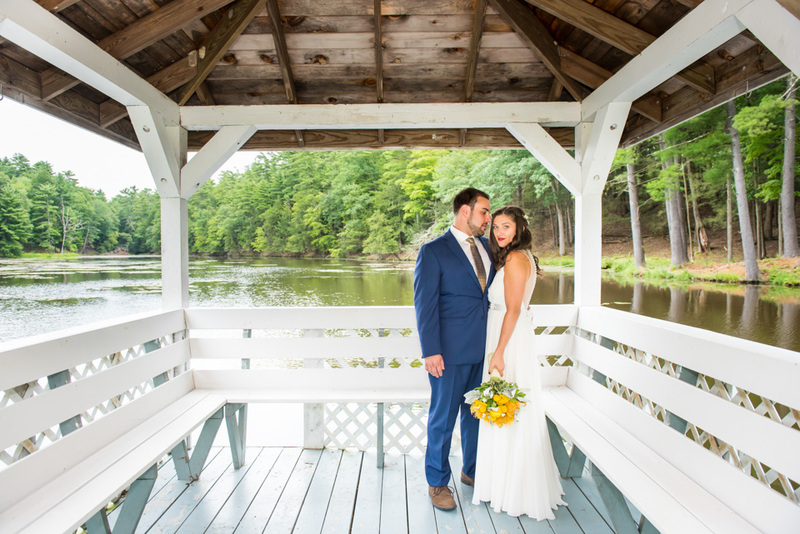 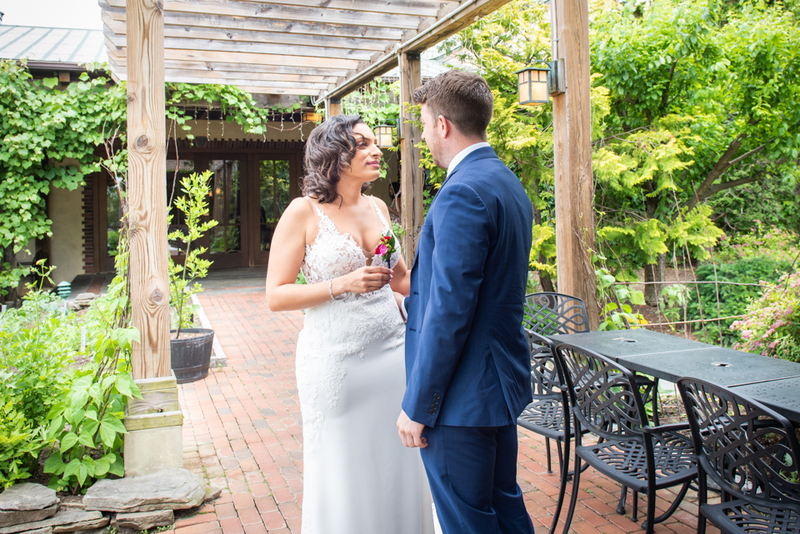 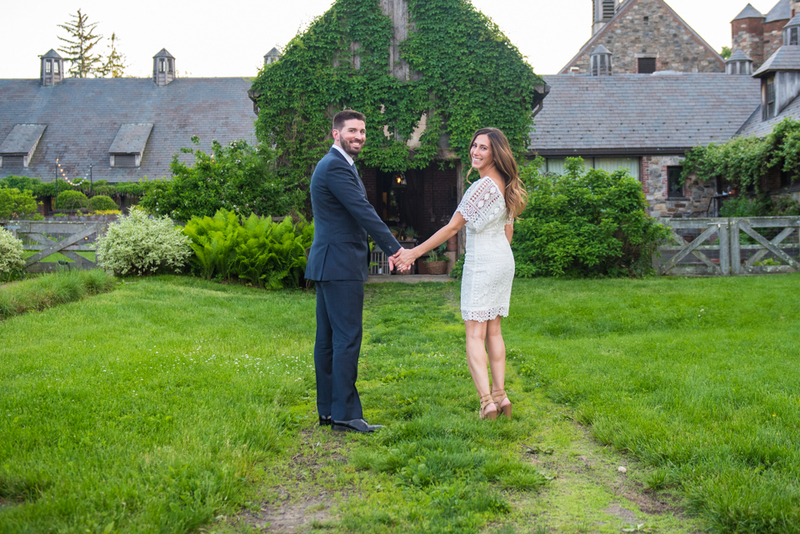 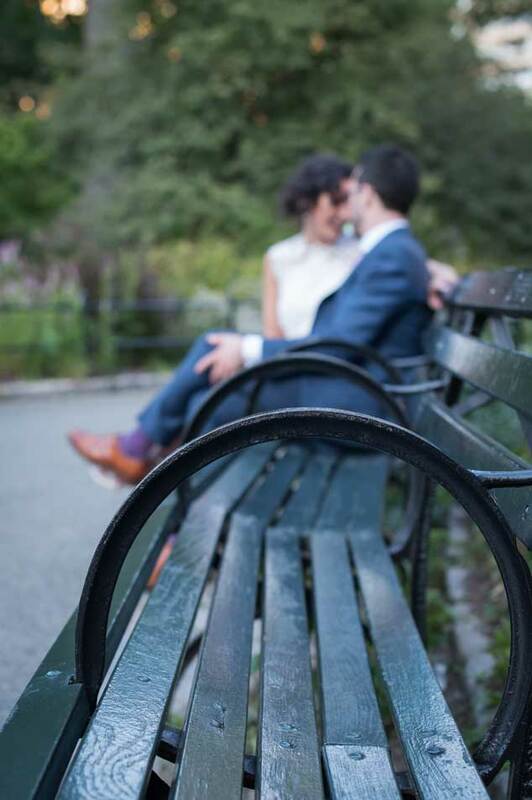 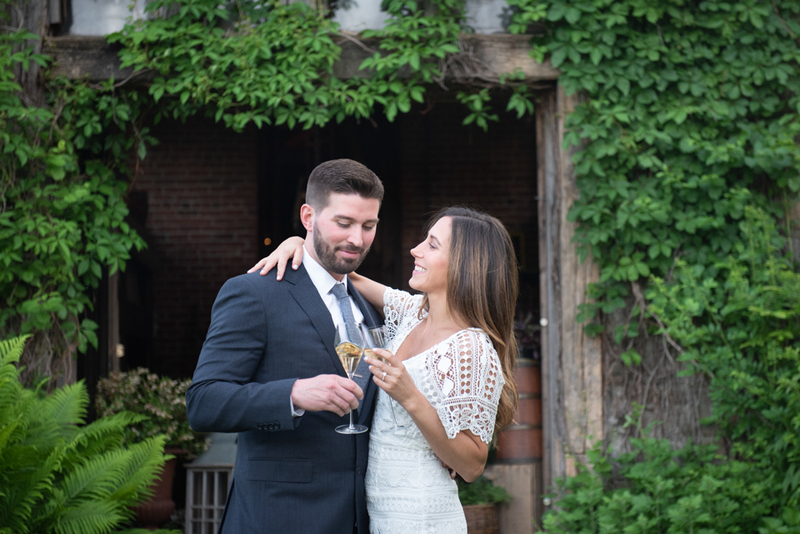 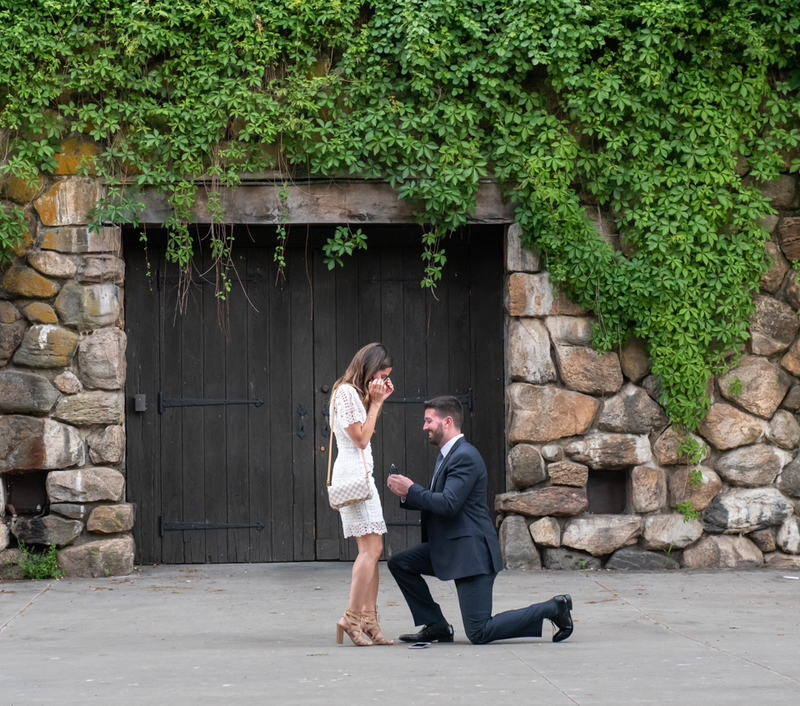 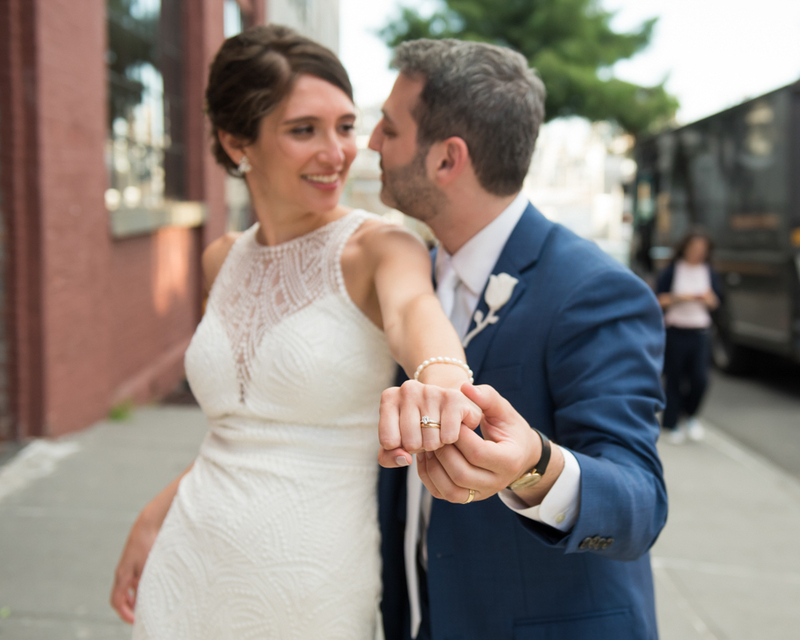 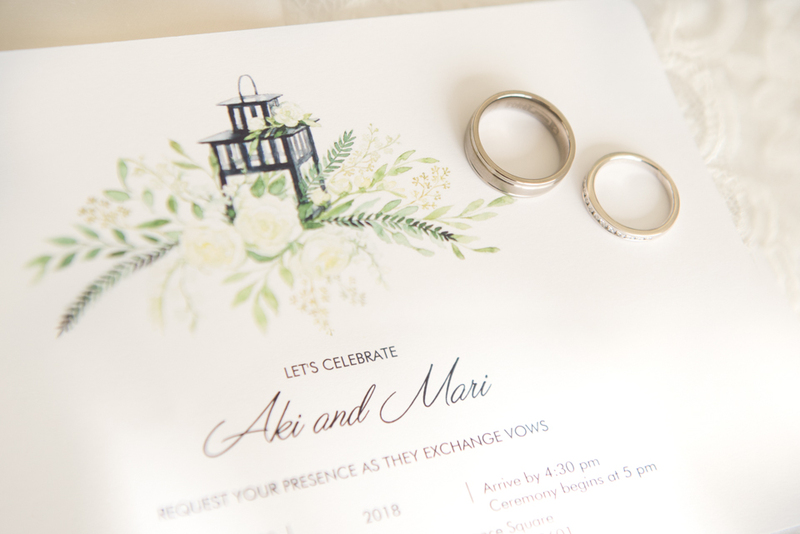 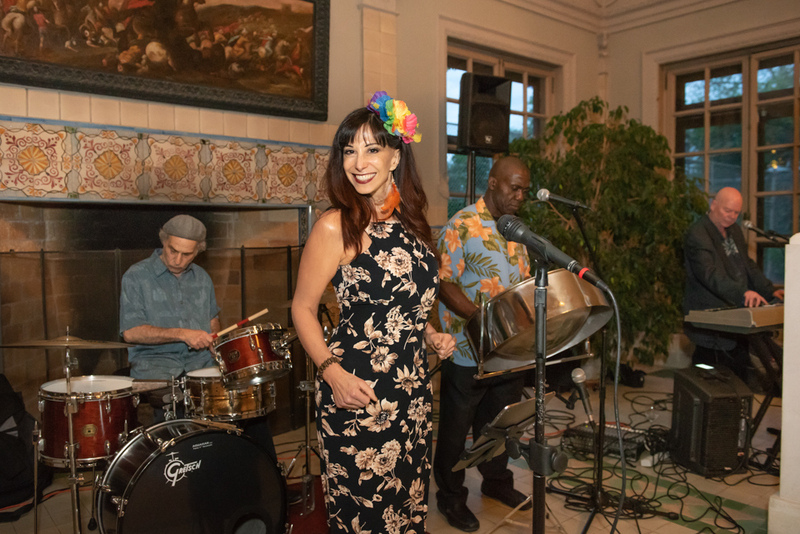 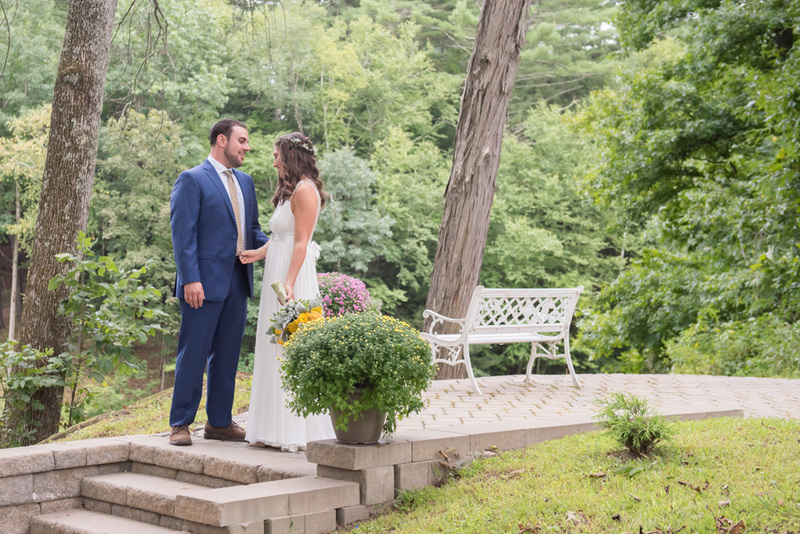 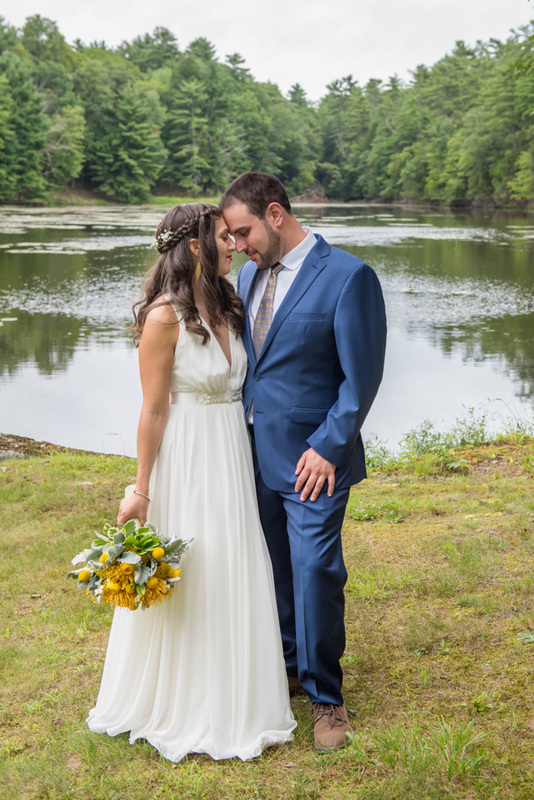 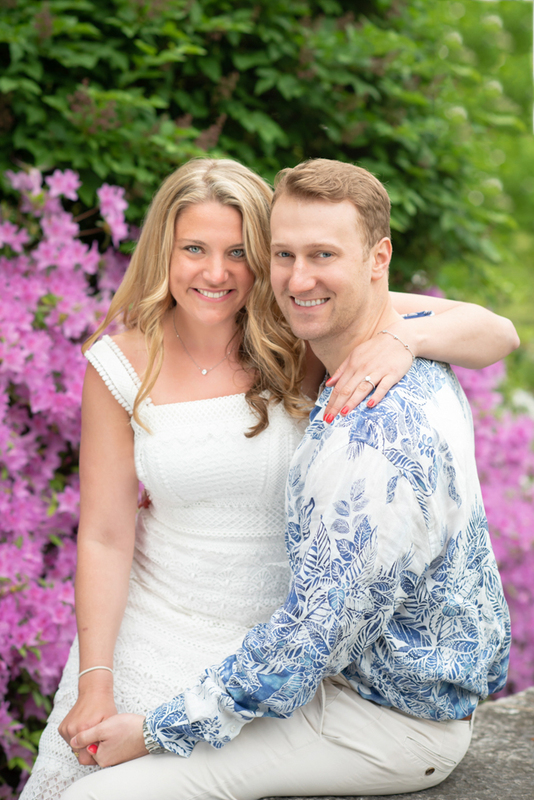 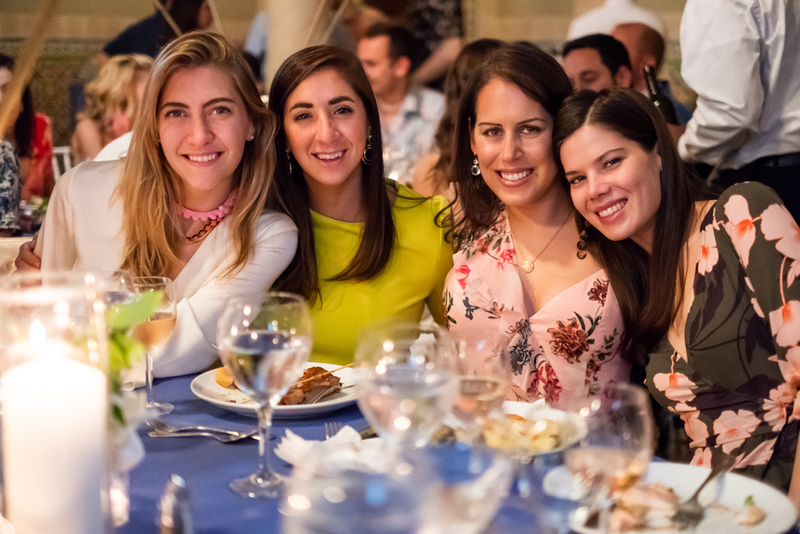 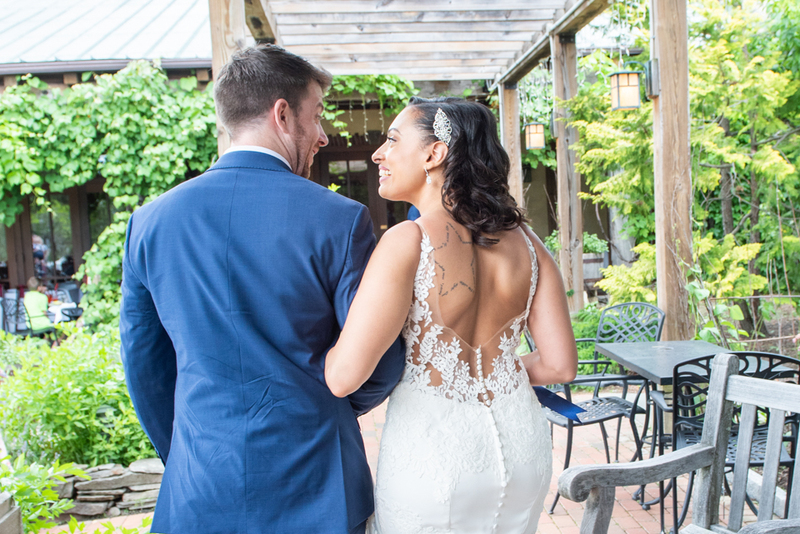 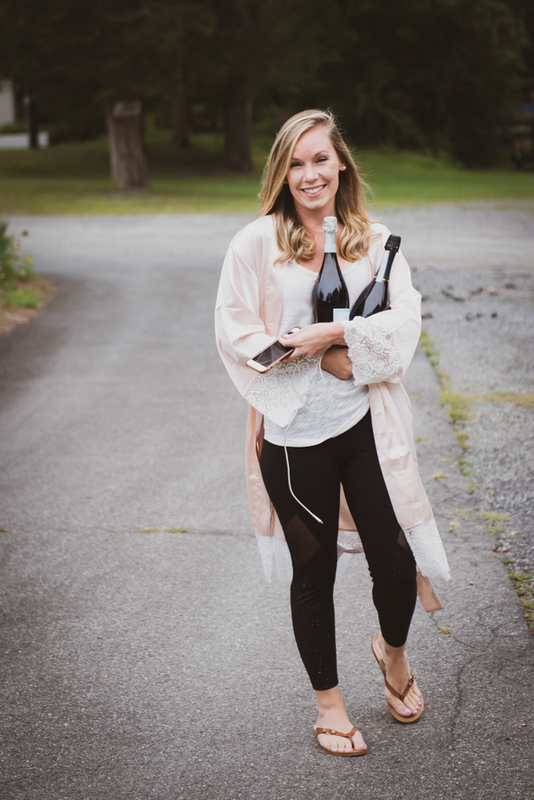 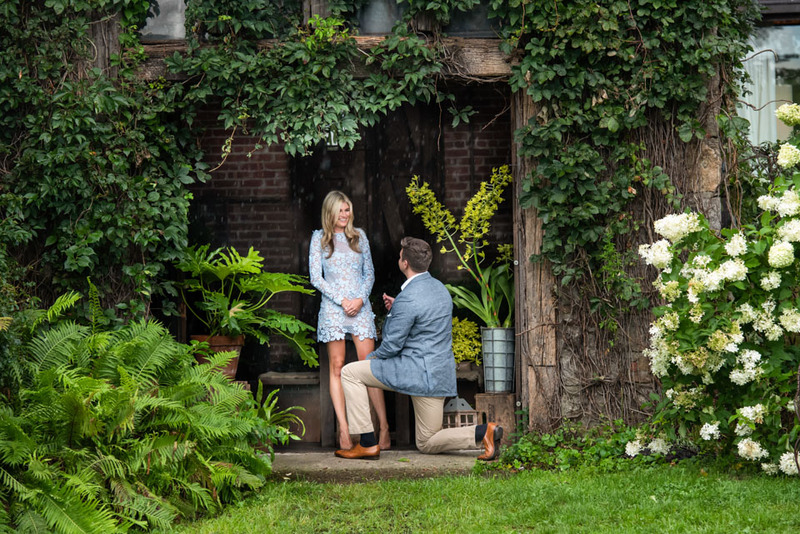 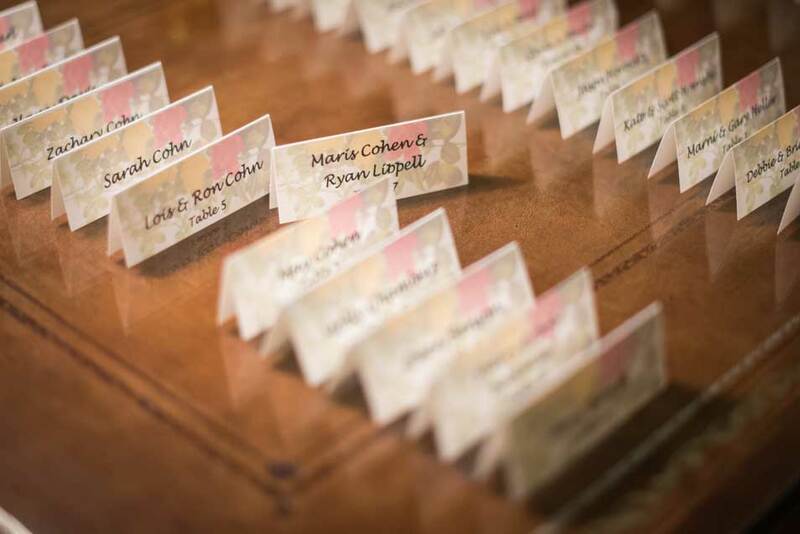 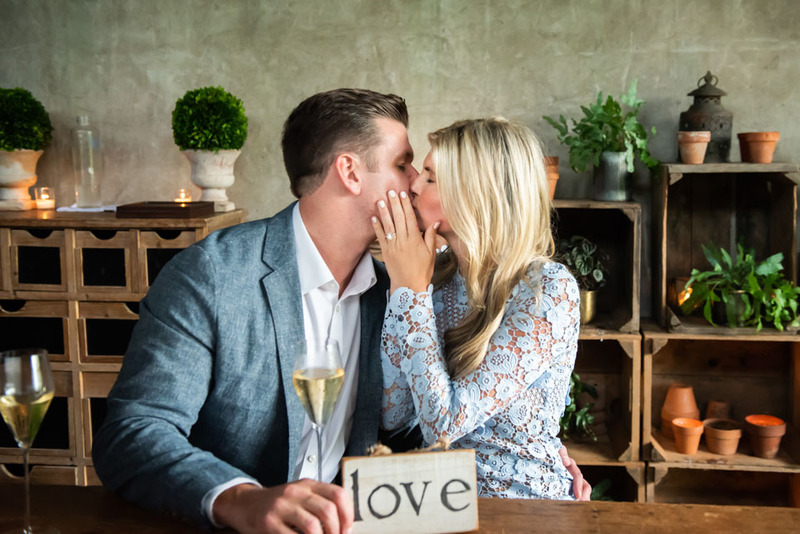 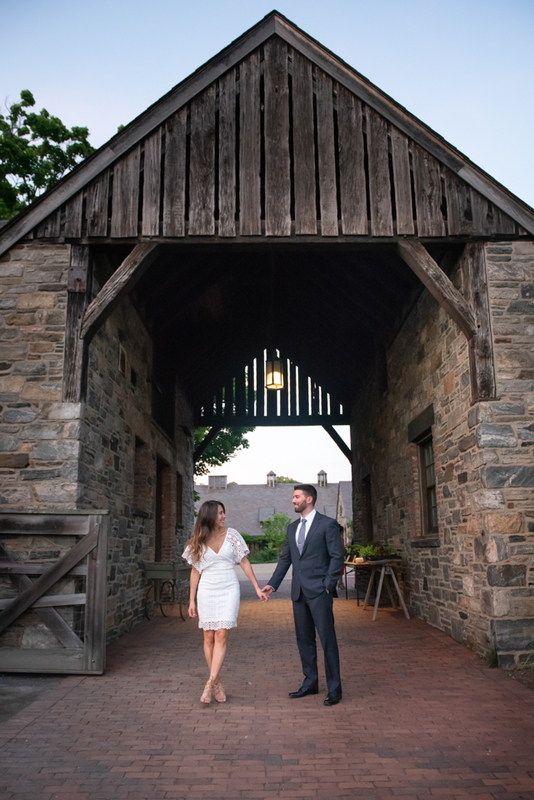 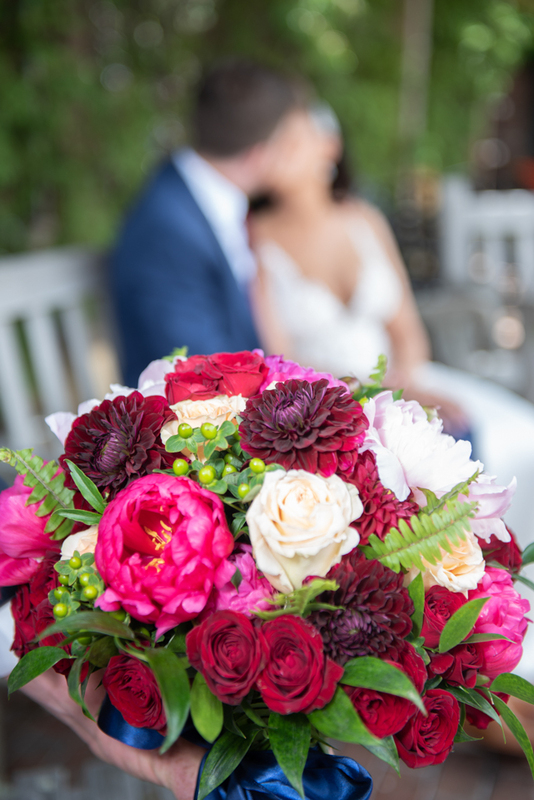 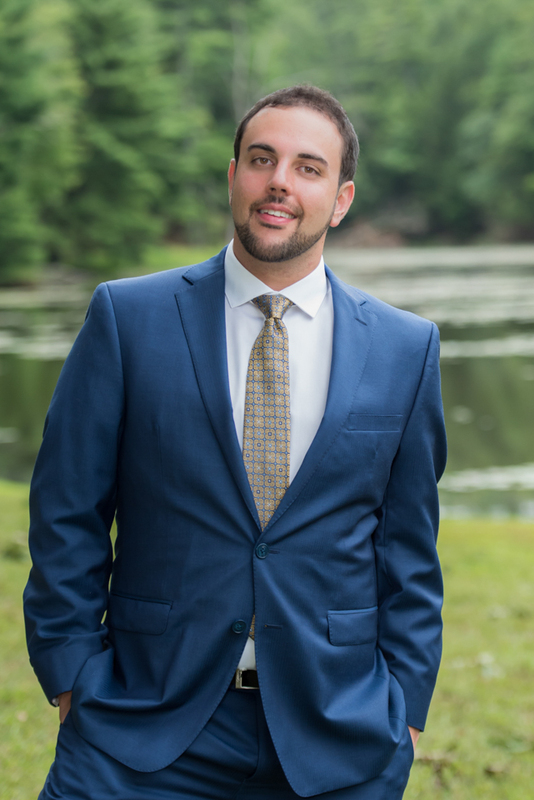 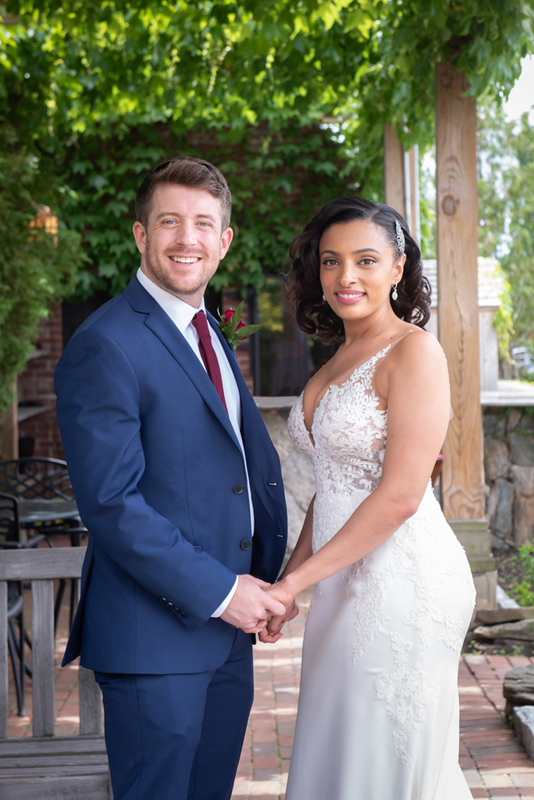 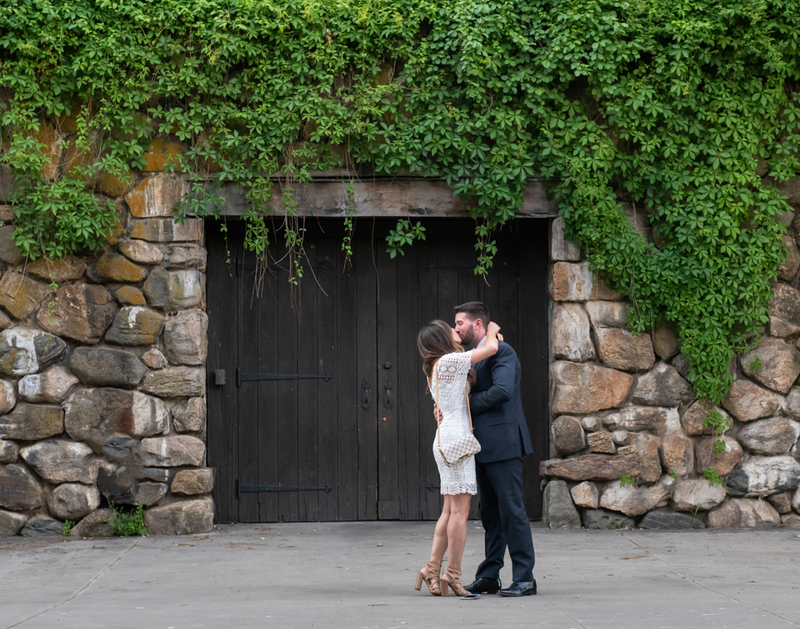 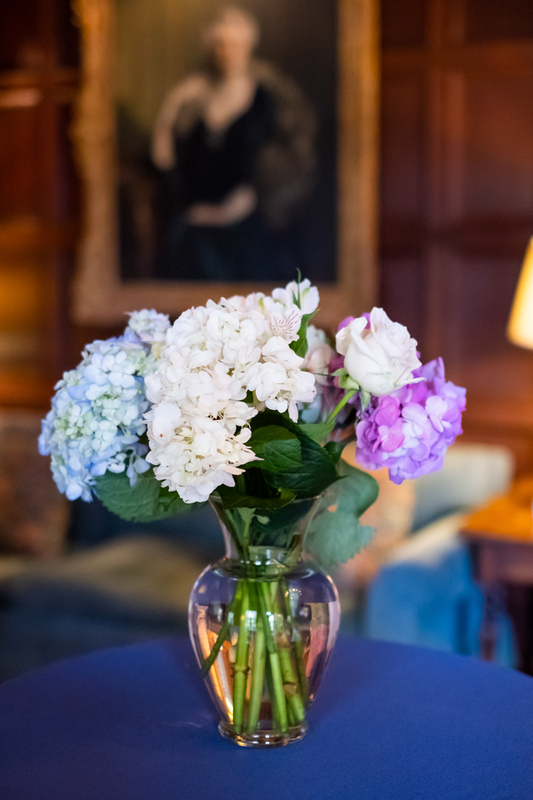 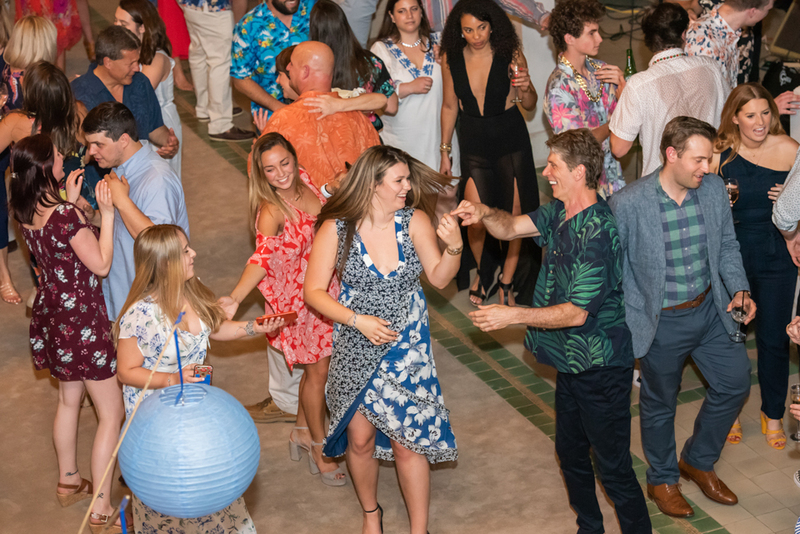 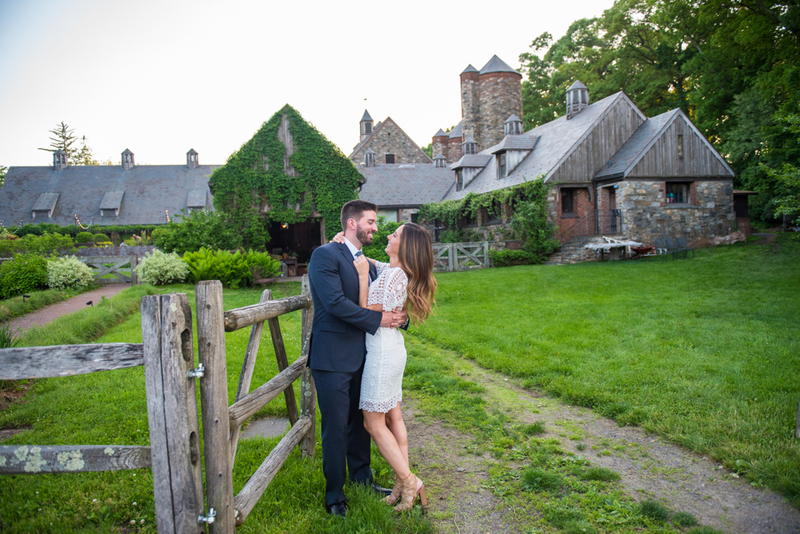 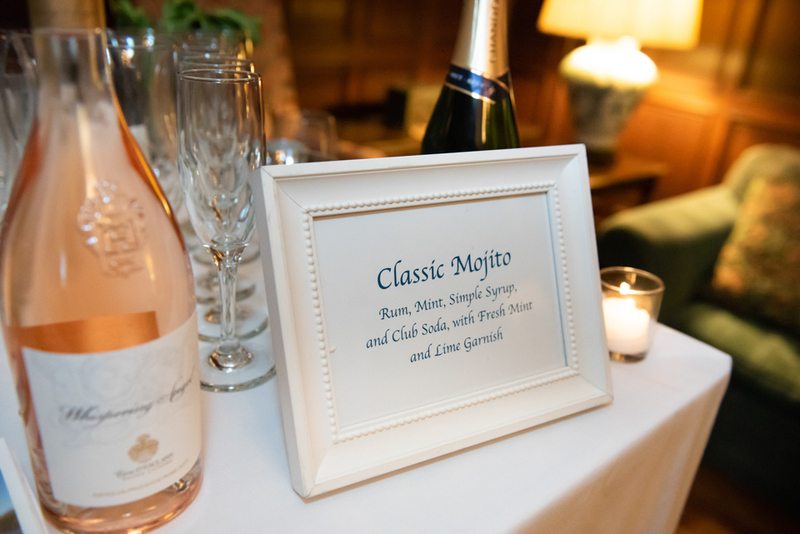 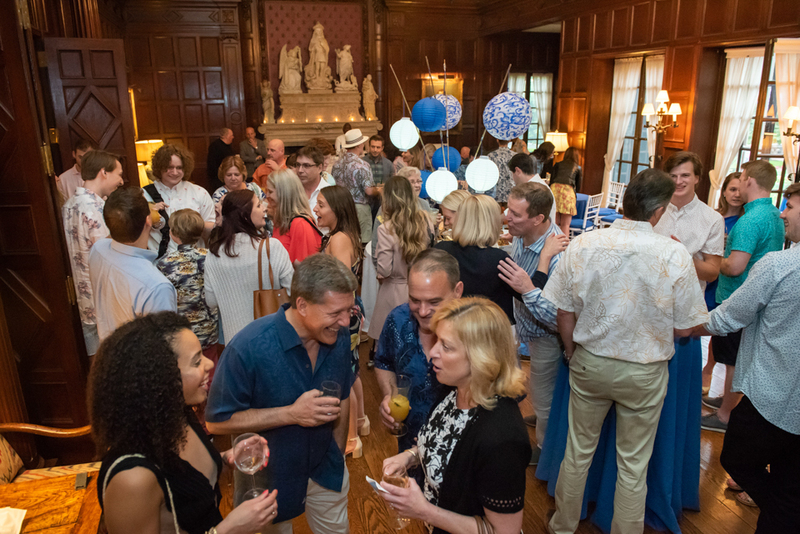 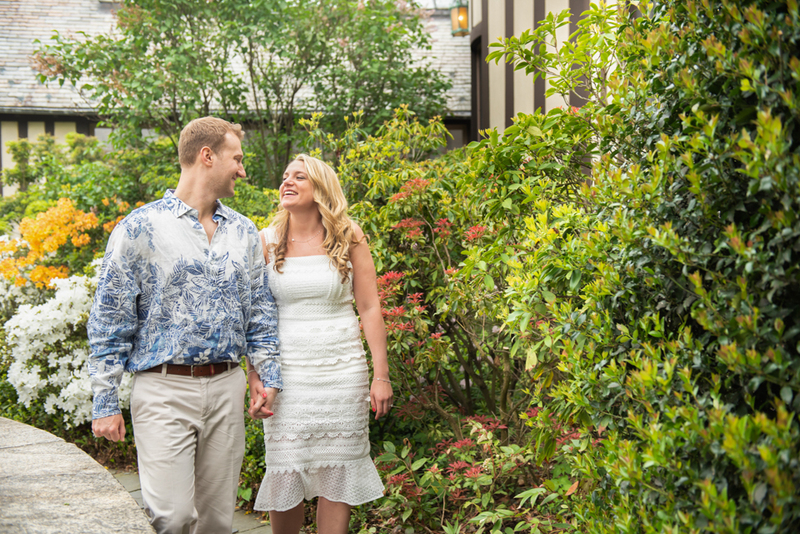 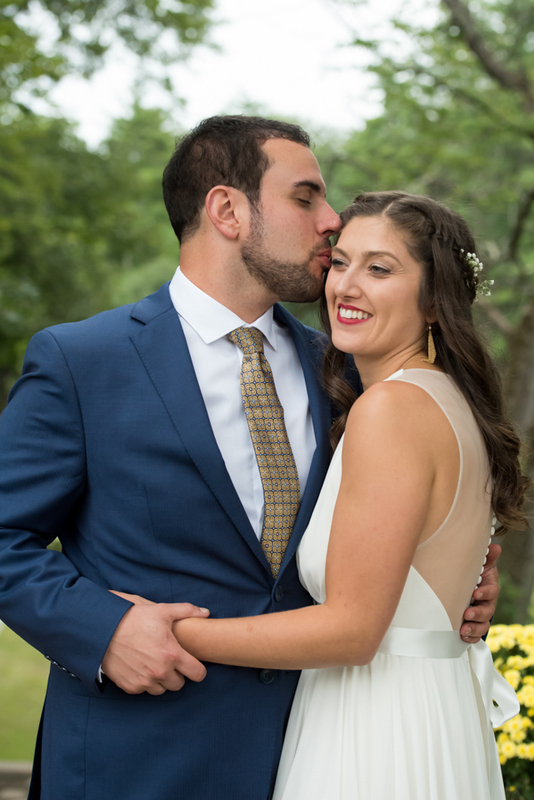 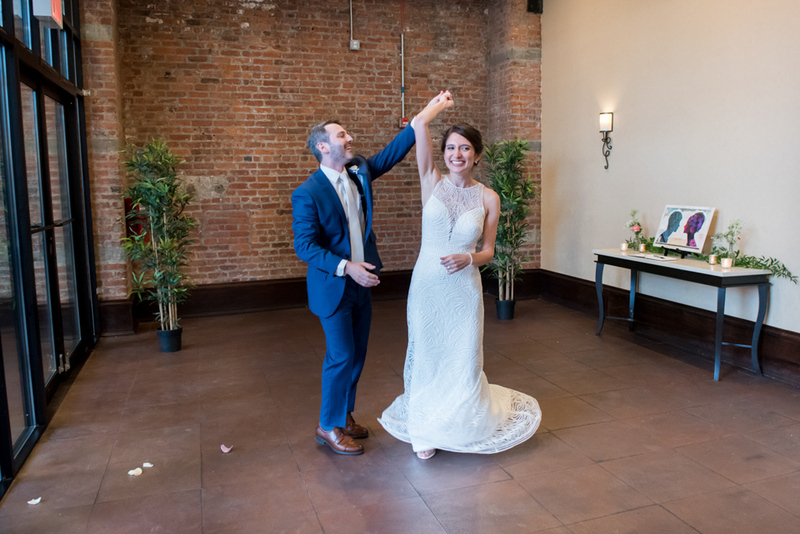 We love feedback, especially when it includes phrases like “perfectly captured the essence of who they are…” That’s from Maris’ stepmom, viewing our engagement-party shots of Maris and Ryan’s stroll through a verdant Central Park and later, at the elegant Lotos Club nearby. 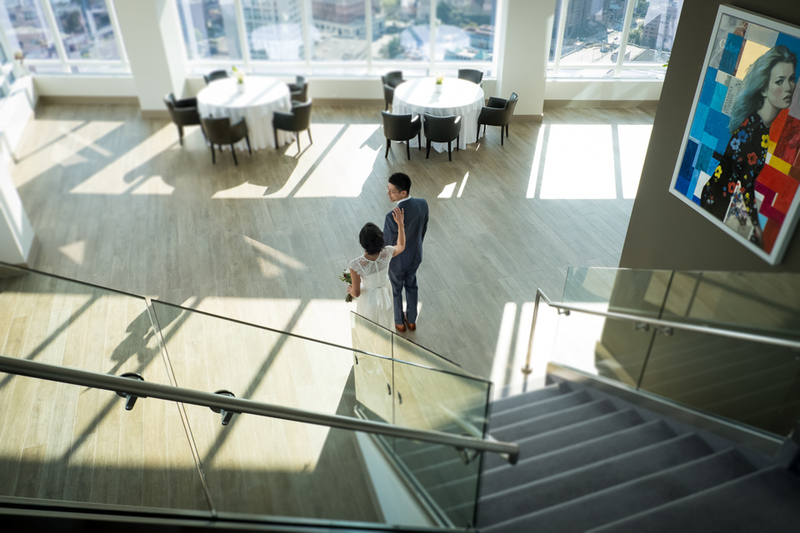 The Club may be known for its refined tradition, but this couple is totally modern: they met on a dating website!